On 9 April 2019, PHP Holding Oy (“PHP”) has entered into an agreement to sell all of its shares in DNA Plc (“DNA”) to leading Norwegian telecoms group, Telenor Group (“Telenor”). PHP is the second largest shareholder in DNA, owning 25.78 per cent of all shares in DNA. HPP is acting as legal adviser to PHP in connection with the transaction. 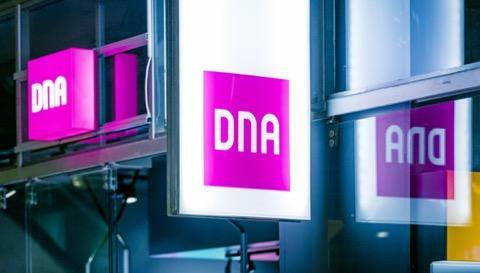 In connection with this transaction the largest shareholder of DNA, Finda Telecoms Oy (“Finda”) has also agreed to sell all of its shares in DNA to Telenor in a separate transaction. Finda owns 28.26 per cent of all shares in DNA. The aggregate value of DNA shares to be sold by PHP and Finda to Telenor is approximately EUR 1.5 billion. Pursuant to the transaction terms, the completion of sale of the DNA shares owned by PHP will require, inter alia, approval by the general meeting of PHP and the receipt of required regulatory approvals. Telenor expects the transaction to be completed during the third quarter of 2019. Completion of the transactions will trigger a mandatory public tender offer by Telenor for the remaining outstanding shares in DNA. Elite Alfred Berg real estate fund has signed an agreement regarding the acquisition of the Phase A business and office premises of Kuopion Portti from Rakennusliike Lapti Oy, which is a member of Lapti Group. A total of 3,484 m2 of business and office premises will be transferred to the ownership of Elite Alfred Berg Vuokratuotto Erikoissijoitusrahasto. The Phase A of Kuopion Portti will be completed in the beginning of 2020. Kuopion Portti is a versatile complex consisting of apartments, service accommodation, business and office premises, a parking facility and a waiting area for passengers. During 2020-2023, the complex will be built in phases next to the Kuopio railway station and the bus station. HPP was responsible for both drafting the purchase agreement and other agreements as well as giving legal advice during the acquisition process. The purchase agreement was signed on 21 March 2019. HPP represented two defendants in security markets offence case of Talvivaara Kaivososakeyhtiö Oyj (currently bankrupt’s estate of Ahtium Oyj) in which a judgement was rendered today by the Helsinki Court of Appeal. Helsinki Court of Appeal reversed the security markets information judgement rendered against the former CEO and dismissed the charge against him. The Court of Appeal has, for the most part, reversed the charges regarding the abuse of insider information against the former Chief Production Officer. The Chief Production Officer is sentenced to a fine for two counts of abuse of insider information. The District Court had sentenced him to conditional imprisonment for five charges. 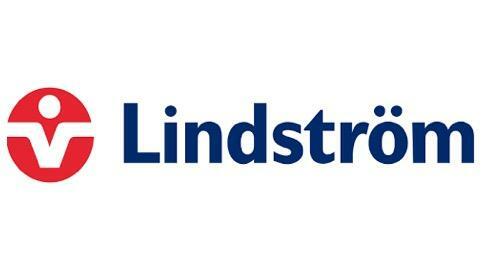 HPP acted as sell-side adviser to Lindstrom Limited, the UK subsidiary of Finnish-headquartered Lindström Oy, one of Europe’s leading textile service companies on the disposal of its floorcare and washroom services business division in the UK to Bio Clean Systems Limited. Deal value is confidential. HPP advised listed client, Caverion Oyj, in a transaction with Maintpartner Holding Oy to acquire all of the shares in Maintpartner Group Oy, including its subsidiaries in Finland, Poland and Estonia. The acquisition excludes Maintpartner Group Oy’s subsidiary in Sweden. Maintpartner Holding Oy is owned the funds managed by the Finnish private equity company CapMan Buyout. The transaction is subject to approval by the competition authorities. 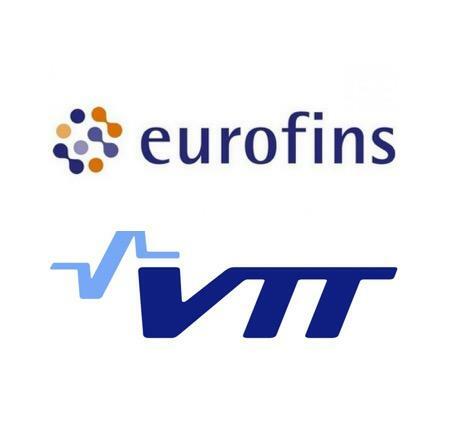 The revenue of the business to be acquired was approximately EUR 137 million in 2018, with most of the revenue generated in Finland. The business employed approximately 1,500 people in 2018. The acquisition complements Caverion’s expertise in industrial maintenance and services as well as development of digital solutions. It also supplements Caverion’s geographical coverage and customer base in various industrial segments. 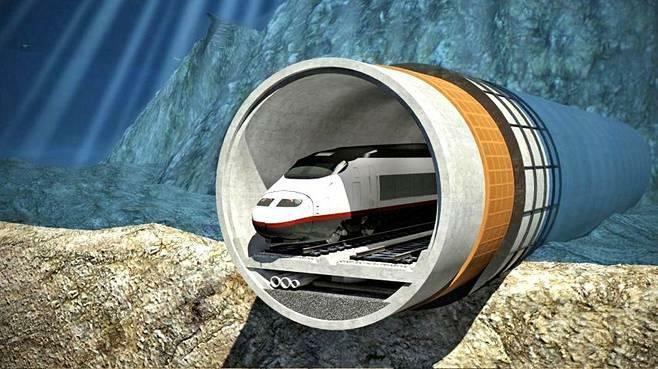 Finest Bay Area Development Oy has signed a memorandum of understanding with Touchstone Capital Partners Ltd on the financing of the tunnel connecting Finland and Estonia, covering EUR 15 billion in funding. This funding will be in addition to the previously announced EUR 100 million funding agreed with ARJ Holding LLC. Financing will be available tor Finest Bay Area Development as the project progresses. The details of the financing will be negotiated over the coming months. HPP assisted Svenska Folkskolans Vänner r.f. in the sale of Diana house. The Diana house, located on Yrjönkatu in Helsinki, was sold to Quadoro Doric which made the deal on behalf of the Swiss real estate fund called Vontobel Sustainable Real Estate Europe. The purchase price was less than 20 MEUR. The Diana house located by the Diana Park was built in 1898. The building has approximately 3400 sqm of lettable area. The building houses business premises, offices and apartments. 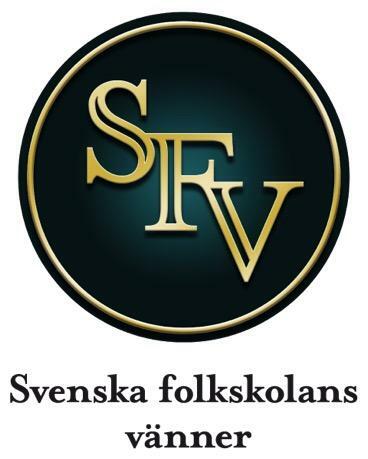 HPP advised Svenska Folkskolans Vänner r.f. in the planning and other preparatory works for the transaction as well as the transaction negotiations. The deal was closed on 14 February 2019. HPP successfully represented Met­sä­liit­to Cooperative, part of one of the leading forest industry companies in Europe, against a claim brought by Metsähallitus, the State-owned forestry management enterprise concerning the commercial effects of competition restraints in the Finnish raw timber market. Metsähallitus originally claimed damages totaling EUR 283M, from Stora Enso Oyj, UPM-Kymmene Oyj and Metsäliitto Cooperative to be paid jointly and severally. Metsähallitus’ claim was dismissed in its entirety by both the Court of Appeal and the District Court. On 29 January 2019, the Supreme Court issued a ruling in which it denied Metsähallitus leave to appeal. Thus, the award issued by the Court of Appeal remained final. Additional claims by private individuals and municipalities were also dismissed by previous rulings that have also been rendered as final. HPP also represented Metsäliitto in those proceedings. A summary of the ruling in Finnish can be found here. HPP assisted Etelä-Karjalan Jätehuolto Oy in the procurement of a biogas facility. Renewable energy is generated from biowaste and sewage in the biogas facility. The biogas is then refined to a transport fuel, which may be used as fuel for biogas vehicles. The Ministry of Economic Affairs and Employment granted an energy aid of approximately 2.2 million euros for the project. Energy aid is aimed at promoting renewable energy production, energy savings and energy efficiency. Watrec Oy acted as a tendering and construction consultant, and the contract was awarded to Envor Protech Oy. Etelä-Karjalan Jätehuolto Oy is a circular economy company, established in 1996, that is jointly owned by cities of Lappeenranta and Imatra as well as the municipalities of Lemi, Luumäki, Parikkala, Rautjärvi, Ruokolahti, Savitaipale, and Taipalsaari. The company provides waste management services under the Waste Act to its owner municipalities. 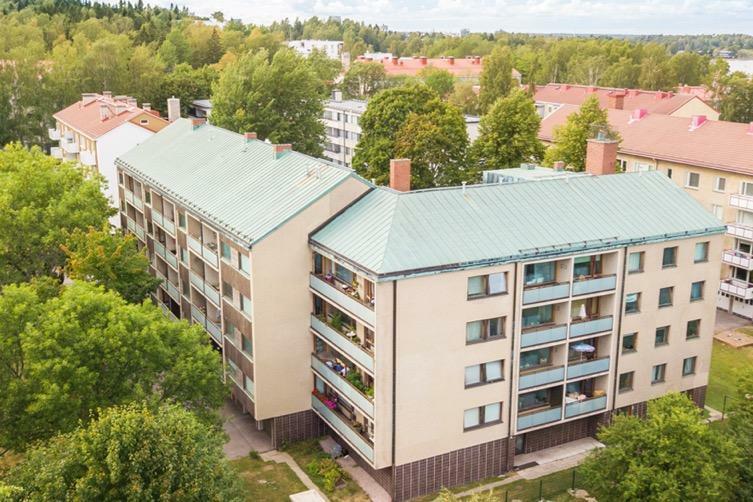 HPP assisted Eläkesäätiö Polaris Pensionsstiftelsen in the sale of a residential property. The residential property located in Lauttasaari was sold to Asunto Oy Helsingin Lahnaruoho, which is a company owned by Asuntosalkku Suomi, Nordic Business Investments and Diretor. The property consists of 40 apartments and the total area is 2.607 sqm. HPP was responsible for drafting the sale purchase agreement and other legal advice during the sales process. The deal was closed on 3 January 2019. 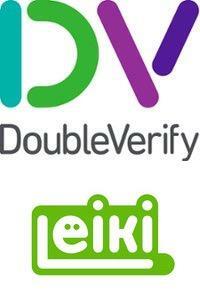 HPP was pleased to advise DoubleVerify Inc., headquartered in New York, and its private equity backer Providence Equity Partners, on its acquisition of Leiki Oy, a Finnish semantic Artificial Intelligence platform provider of contextual and audience analysis solutions to advertisers and media companies. DoubleVerify Inc. is the leading independent provider of marketing measurement software and analytics in a rapidly-growing market segment. The transaction was completed as an all cash, all stock offer on December 27, 2018. This transaction is the latest in a string of transactions in the technology sector and specifically within the AI field, in which HPP has assisted international, private-equity-backed buyers acquiring Finnish tech targets. This reflects HPP’s market-leading technology expertise (ranked as a Tier 1 TMT team by the leading global directories) and HPP’s significant cross-border M&A expertise. 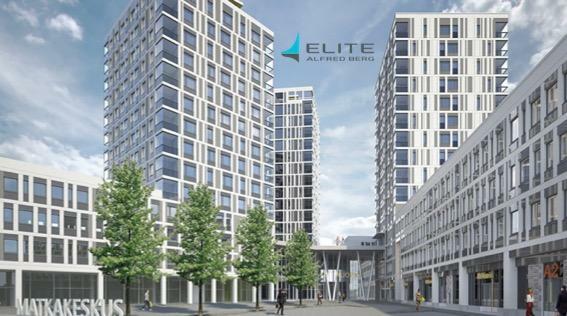 Elite Finland Value Added Fund II Ky successfully closed two real estate transactions in which the fund acquired altogether three local retails sites from Finnish private real estate developers. Kesko is the anchor tenant in each of the sites located in Nokia, Jyväskylä and Ylöjärvi. HPP advised Elite in all legal aspects of the transactions, including legal and tax due diligence reviews, drafting and negotiating the transaction documentation and related corporate work. The deals were closed on 13 December and 14 December 2018. HPP advised Liikennevirta Oy (“Virta”) in a transaction concerning growth financing and ownership arrangement as a result of which one the leading European energy companies E.ON, Helen and Lahti Energia became the majority owners of Virta. The purpose of the financing round is to secure the international growth of Virta in the fast growing electric vehicle charging market during the next few years. Virta and E. ON had already earlier concluded an operative collaboration agreement based on which the E.ON´s charging stations will start utilizing Virta´s technology solutions. This transaction demonstrates HPP´s transactional and technology capabilities in the fast developing international smart mobility market. Virta was established in 2013. The company is known in Europe as the innovation leader and a leading company for smart charging solutions. Currently Virta serves over 200 corporate customers in 19 countries. Besides Helsinki, the company has offices in Germany, France and Sweden. The city of Helsinki signed on 4 December 2018 a sale and purchase agreement with Union Investment Real Estate GmbH regarding the sale and purchase of an Urban Environment House building to be constructed in Kalasatama Helsinki. The sale and purchase price of the building is EUR 165,000,000. 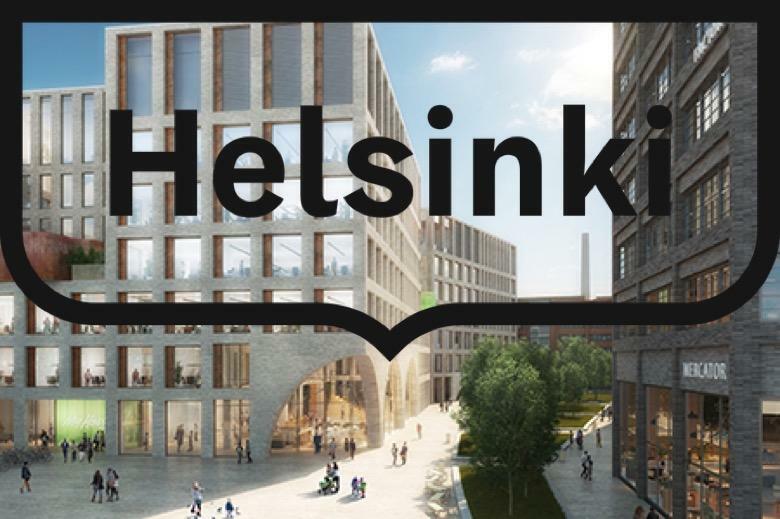 The transaction is agreed to be closed upon completion of the construction works at which time the City of Helsinki will lease the building on a 20 year fixed term lease. The lettable area of the Urban Environment House is 27,500 square meters. HPP advised the City of Helsinki in the designing and other preparatory works of the transaction as well as in the investor bidding process and the transaction negotiations. Newsec acted as the seller’s commercial advisor in the transaction. HPP advised Finnish Minerals Group (previously Terrafame Group Ltd) and Terrafame Ltd (“Terrafame”) in a financing round related to the construction of the battery chemicals plant in Sotkamo, Finland. The total value of the new funding package is approximately EUR 100 million. 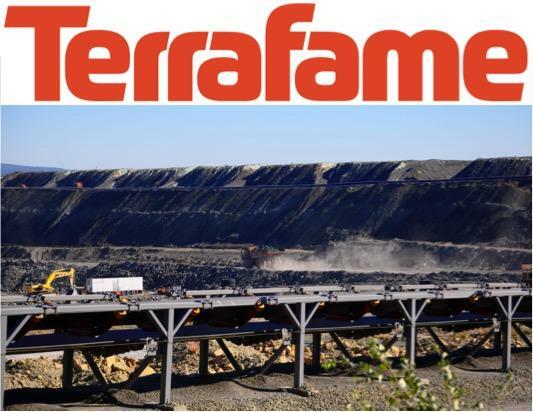 This funding from the current shareholders of Terrafame is comprised of a loan facility in the amount of approximately EUR 42 million (USD 50 million) from Trafigura and equity investment commitments from Galena fund and Finnish Minerals Group totaling to EUR 60 million. 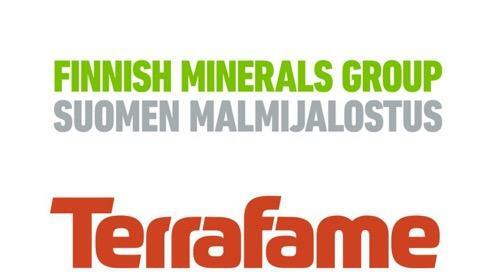 Finnish Minerals Group’s share of the funding will be carried out by reallocating EUR 30 million to the plant project from the EUR 50 million investment commitment granted to Terrafame in February 2017. The investment in the battery chemicals plant amount to approximately EUR 240 million. Finnish Minerals Group is a special-purpose company wholly owned by the State of Finland. It is responsible for the State’s holdings and development in the mining and battery sector as well as for promoting the development of a battery cluster in Finland. Terrafame is a multi-metal company producing nickel, zinc, cobalt and copper at its mine and metals production plant located in Sotkamo, Finland. 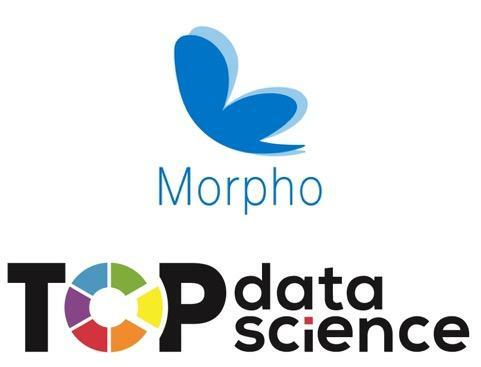 HPP assisted Morpho Inc, a leading Japanese listed software developer and provider of solutions to industry sectors including the smartphone, automotive and diagnostics imaging sectors, on the Finnish aspects of its acquisition of Top Data Science Oy, a Finnish data science and software engineering company focusing on advanced data analytics, Artificial Intelligence and machine learning solutions. The shares were acquired from the company’s founders who will remain with the business to further develop the company’s solution offering in conjunction with Morpho. 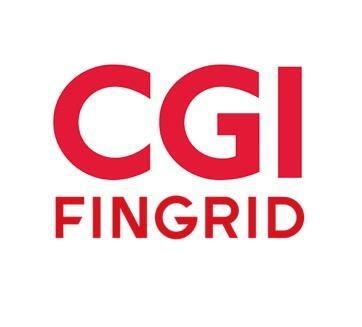 HPP assisted CGI Suomi Oy in a transaction in which Datahub information exchange system is delivered to Fingrid Oyj’s subsidiary Fingrid Datahub Oy. Datahub is a centralized information exchange system for the retail electricity market that will store data from 3.5 million energy consumption locations. The system will simplify, speed up and enhance the efficiency of data exchange across the retail electricity market in Finland. The total value of the acquisition of the Datahub system is 41.9 million euros. The delivery consists of project delivery, licenses and support and maintenance services for a four-year period. According to the contract signed in July, the Datahub system will be implemented in April 2021. HPP acted as Volution Group’s legal advisor in the acquisition of all shares in Oy Pamon Ab (“Pamon”). Pamon is a leading designer, manufacturer and supplier of Mechanical Ventilation with Heat Recovery products primarily for the Finnish new build and refurbishment construction markets. 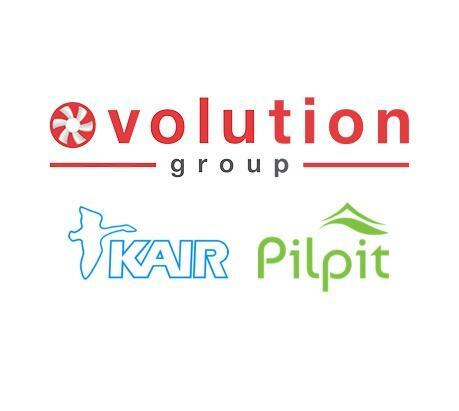 Volution Group plc is a leading supplier of ventilation products to the residential and commercial construction markets in the UK, the Nordics, Central Europe and Australasia. Its shares are traded on the London Stock Exchange. HPP acted as legal advisor to Global Equipment Services and Manufacturing Inc. (”GES”) in an investment transaction, where GES in 2016 made an investment into JOT Automation Oy (“JOT”) and where GES now, in the second phase and upon the closing of the transaction on 4 June 2018, exited its investment in connection with sale of all shares in JOT to Chinese Suzhou Victory Precision Manufacture Co., Ltd.
JOT, headquartered in Oulu, Finland, is a pioneer and leader in automation and testing solutions for electronics production. 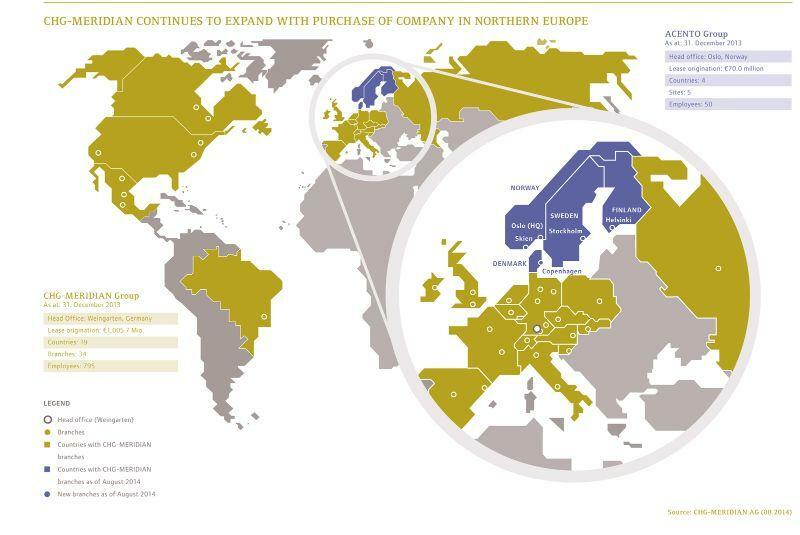 JOT has business operations in Estonia, China, Finland, Italy, Hungary and the United States. GES, headquartered in San Jose, California specializes in production processing and test equipment design, volume manufacturing and global services for the semiconductor and electronics product manufacturing industry. GES has significant business operations in China, India, Japan, United States and Vietnam. The Ministry of the Environment has published a request for an opinion on the draft government proposal concerning the reform of the list of projects requiring an environmental impact assessment procedure. According to the proposal, the current list of projects will be replaced by a new Annex. The aim of the proposal is to update the list of projects, clarify the content and harmonize it as far as possible with the EIA Directive. It is proposed, inter alia, that the physical-chemical treatment of waste, which has proved difficult to interpret, shall be converted into chemical treatment and that the capacity limit for wind power projects shall be increased from the current 30 MW to 45 MW. HPP prepared a preparatory study focusing on legal issues on the updating of the list of projects under the EIA Act. The survey included an analysis of the timeliness and disparities in the list of projects of the EIA Act in relation to the requirements of the EIA Directive and the Espoo Convention on Transboundary Environmental Impact Assessment. In addition, the views of the key actors and authorities were gathered. Partner Kari Marttinen and Senior Associate Laura Leino have been responsible for the preparation of the study. Kari has acted as an advisor to operators in numerous major EIA procedures and other projects requiring environmental procedures. He is responsible for the environmental law group of HPP and has years of experience in advising clients on legal issues related to the practical implementation of environmental legislation. Laura has worked as a legal advisor and as an EIA consultant in several major EIA procedures. In addition, Laura has worked as an expert in the Secretariat of the Espoo Convention on the International EIA Procedure for the United Nations. Link to the press release of the Ministry of the Environment, the request for an opinion on the government proposal and HPP’s survey. HPP advised Hobby Hall Oy and its Finnish shareholders SGN Group Oy and Four P&P Consulting Oy in the combination of Hobby Hall´s and Hansapost´s, which is the biggest online store in Estonia, online businesses. The combination created a new prominent international online store operator, the turnover of which is over 80 million euros, number of employees approximately 200 and the product portfolio exceeding 330,000 products. Hobby Hall was acquired by a Finnish family owned company SGN Group in the beginning of 2017. “We started the renewal of the online store in the beginning of 2017 and the combination is a major step forward for Hobby Hall. We have been satisfied with the smooth cooperation with HPP Attorneys”, says Sam G. Nieminen, the managing director of SGN Group. HPP advised Caseking, Europe’s #1 go-to platform for gaming enthusiasts and performance gamers, and its private equity backer Equistone Partners Europe, on the successful acquisition of Jimm’s PC Store Oy, the leading eCommerce retailer for PC gaming equipment and peripherals in Finland. 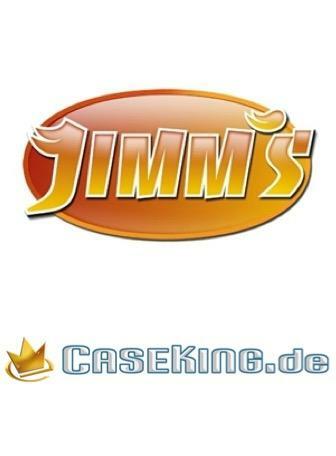 The acquisition will strengthen the Caseking Group’s position in the Scandinavian market, while the unique Caseking product range will open up growth opportunities for Jimm‘s. The financial terms of the deal are undisclosed. The deal highlights HPP’s strength in both M&A advisory to overseas acquirers and funds and our position as a leading TMT law firm in the Finnish market. Mediamaestro Ltd is a Finnish software vendor with software solutions for the retail and the accountancy verticals. TSS is part of Constellation Software Inc. (CSI), one of North America’s largest software companies and listed on the Canadian Stock Exchange. TSS is the leading company for business solutions and consists of independent business units that deliver products and services to their specific market segment. TSS is active in the verticals: healthcare, local and central government, retail, real estate, financial and legal services, and software related services. 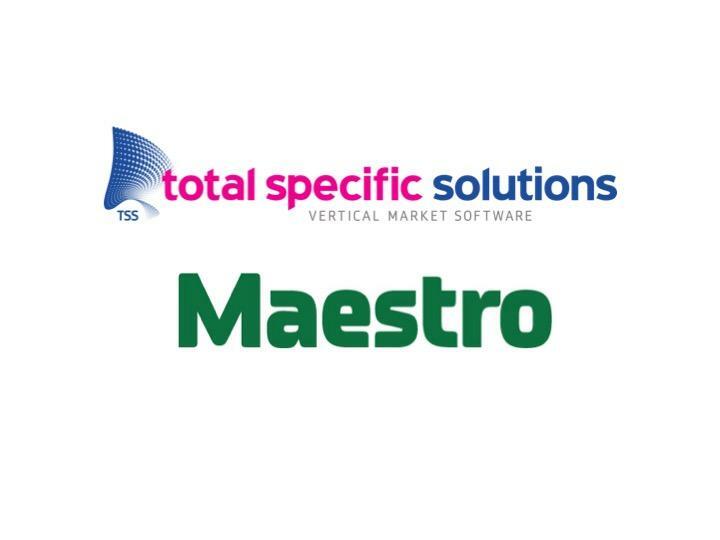 Through the acquisition of Mediamaestro, TSS enters the Finnish software market and further strengthens its position in both the retail and accountancy services industries, where it already has established itself in the Netherlands and Germany. More information on the transaction. Terrafame Group Ltd. and Terrafame Ltd. (“Terrafame”) have on November 9, 2017 agreed with Galena Asset Management, Trafigura Group and Sampo plc on a funding package to support Terrafame’s future investments and business initiatives. The parties have previously agreed on a EUR 250 million funding package to finalize the ramp-up of Terrafame. The new funding package totaling USD 200 million will enable Terrafame to move from established industrial operations to investing in new business opportunities associated with the electric vehicle battery segment. Terrafame Group is a special-purpose company wholly owned by the State of Finland. It is responsible for managing the state ownership and exercising the owner’s power in Terrafame. Terrafame is a Finnish multi-metal company producing primarily nickel and zinc by bioheapleaching at its mine and metal factory located in Sotkamo. The aim is environmentally sustainable, safe and economically viable mining operations. HPP assisted CGI on full IT-outsourcing contract negotiations with Valmet Corporation. The business transfer agreement concerns over 30 countries and it totals 38 MEUR. 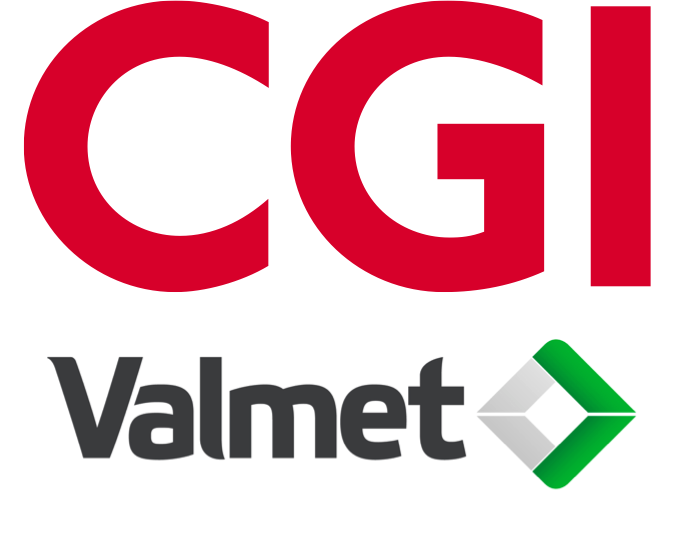 The agreement concerns 58 current Valmet IT employees globally. CGI is one of the largest IT and business process services providers in the world. 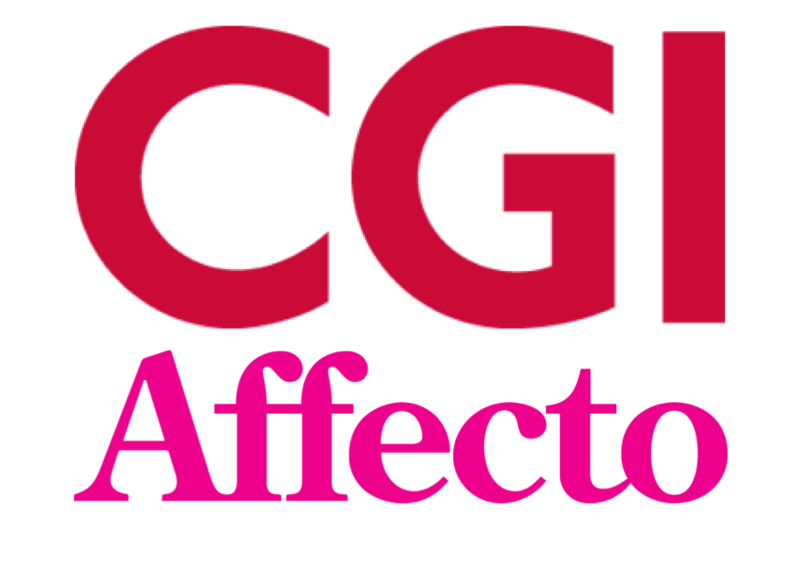 CGI had a revenue of CAD 10.7 billion in 2016. HPP advised Mustavaaran Kaivos Oy (“MKOy”) on all aspects of a financing round, in which the company raised 9.7 million euros for the completion of a bankable feasibility study on its vanadium plant in Raahe. The investors participating in the funding included among others Osuuskunta PPO and Finnish Industry Investment, as well as existing main shareholders of MKOy, being Tamares Mining Group B.V., Akkerman Exploration B.V. and Ilmarinen Mutual Pension Insurance Company. MKOy’s intention is to construct a processing plant at the port of Raahe which will recycle steel slags to extract vanadium. MKOy’s end product of the plant will be ferrovanadium (FeV80) which is mostly used in the steel industry as a strengthening alloy to produce high strength steel and tool steels. Such special steels are used in the construction industry and for aerospace applications. Global steel company SSAB will supply the vanadium containing slag from Finland and Sweden based on a long-term supply agreement. More information about the transaction can be found in MKOy’s press release. HPP advises CGI on its €98M voluntary public tender offer for all the issued and outstanding shares of Nasdaq Helsinki listed Affecto Plc, which offer has been recommended by the board of directors of Affecto Plc. HPP acted as legal counsel to Taaleri in a transaction whereby the share capital of Mattiovi Oy was transferred from Taaleri to JELD-WEN Suomi Oy. The sellers were Taaleri Ovitehdas Ky, Taaleri Investments Ltd and the management of Mattiovi Oy. 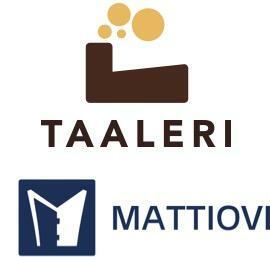 Mattiovi Oy is the leading manufacturer of interior doors and door frames in Finland. The company has factories in the cities of Alavus, Laitila and Posio. 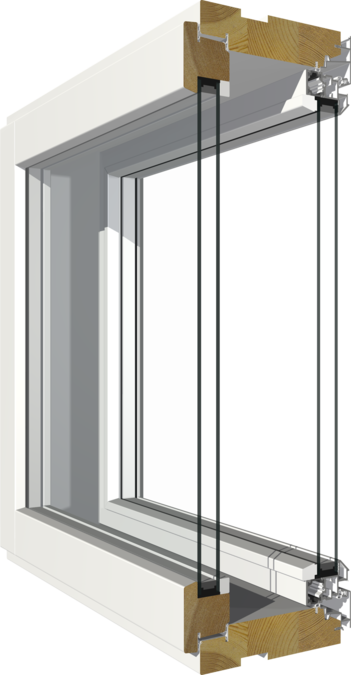 JELD-WEN is one of the leading manufacturers of doors and windows globally and the share of JELD-WEN Holding Inc is listed on the stock exchange list operated by the New York Stock Exchange (NYSE). 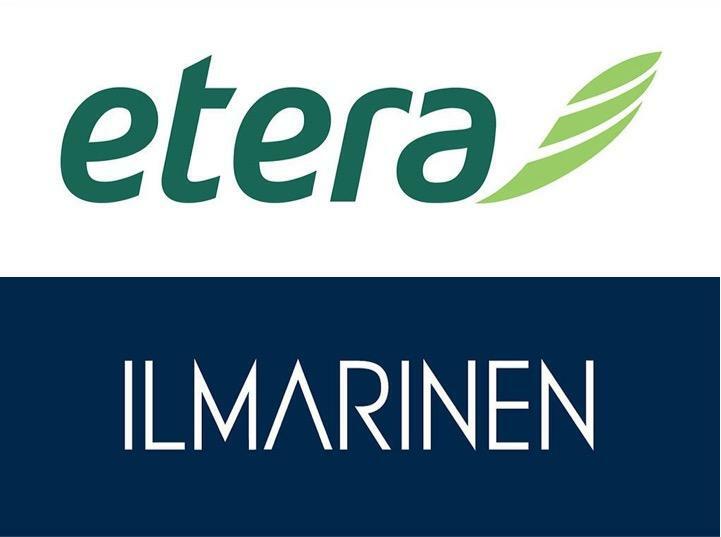 The share of Taaleri Plc is listed on the stock exchange list operated by the Nasdaq Helsinki Ltd.
HPP advised Etera Mutual Pension Insurance Company on the planned merger with Ilmarinen. HPP advised Etera in all legal matters related to the merger negotiations and the merger agreement, as well as in other legal matters related thereto. The employment pension insurance companies Ilmarinen and Etera intend to merge on January 1, 2018. As a result of the merger, the company constitutes a cost-effective employment pension company with a good financial standing, which has the most competitive customer benefits within its industry. By combining the strengths of the both companies the aim is to create an innovating and agile service company, which offers services with even more higher-quality and diversity. The Boards of Directos of Etera and Ilmarinen have accepted the merger agreement on June 29, 2017 according to which Etera will merge into Ilmarinen. After the completion of the arrangement, the combined company will provide a pension cover for over a million Finns. The combined company will become the largest employment pension provider for the private sector in Finland, measured both in number of clients and in premium income. Its pension funds are over 44 billion euros. The completion of the arrangement is subject to approval by the Extraordinary General Meetings of companies as well as approvals by the authorities. HPP acted as legal counsel to Kymenlaakson Sähkö Oy in a transaction whereby Kymenlaakson Sähkö Oy acquired its own shares held by its largest shareholder, the Finnish city of Kotka by way of a directed acquisition of own shares. The acquisition of the own shares was partly financed by a transaction whereby Kymenlaakson Sähköverkko Oy, a subsidiary of Kymenlaakson Sähkö Oy, sold a part of its electricity network to a third party financier under the conditions that the company will retain the control and the use of the network by leasing it back, and that the company will have an option to purchase the assets upon the termination of the lease period. Also the senior bank loans taken out by Kymenlaakson Sähkö Oy and Kymenlaakson Sähköverkko Oy were refinanced in connection with the transaction. HPP assisted Kymenlaakson Sähkö Oy in all legal aspects relating to the transaction, including negotiating the sale and leaseback and the financing agreements, and advising the company in the acquisition of own shares. HPP advised Epiqus Oy, an EuSEF-registered impact investment fund manager, on European Investment Fund´s EUR 10 million commitment into a social impact bond (SIB) managed by Epiqus Oy. This largest SIB in Europe targets rapid employment of 2,500-3,700 immigrants in Finland through the provision of specialised integration training and employment services. HPP advised the European Investment Bank (EIB) on the Finnish aspects of a EUR 25 million facility to MariaDB, the company behind the fastest growing Open Source database, to support the company’s next stage of growth and database innovation. This EIB operation is guaranteed under the European Fund for Strategic Investments (EFSI), a key element of the European Commission’s Investment Plan for Europe, aiming at reviving investment in strategic projects around Europe. The EIB funding will be used to further product innovation for MariaDB’s expanding global enterprise client base and increase its sales and marketing teams in Europe, America, and Asia. The European Investment Bank is the long-term lending institution of the European Union owned by its Member States. It makes long-term finance available for sound investment in order to contribute towards EU policy goals. MariaDB Server is one of the most popular database servers in the world. It’s made by the original developers of MySQL and open source. MariaDB turns data into structured information in a wide array of applications, ranging from banking to websites. More information about the transaction can be found in EIB’s press release. HPP advised Terrafame Group Ltd. and Terrafame Ltd. in a transaction, in which Terrafame Group, Terrafame, Trafigura Group and its investment arm Galena Asset Management agreed on a funding arrangement and long term commercial collaboration. Terrafame Group and Sampo plc acted as co-investors in the transaction. The private funding arrangement secures the completion of Terrafame’s ramp-up as planned. The funding arrangement totals EUR 250 million. HPP acted as the legal counsel for GES in its strategic investment into JOT, entitling GES to significant ownership of JOT. HPP advised on all legal aspects of the investment transaction, including structural aspects, legal due diligence process and drafting and negotiation of the transaction documentation relating to GES investment. For further information see the announcements on GES and JOT websites. HPP assisted SGN Group Oy in the acquisition of the business operations of Hobby Hall from Stockmann Plc. Hobby Hall will become a significant part of SGN, as the transaction includes Hobby Hall’s assets and liabilities and all of its business operations. With the acquisition of Hobby Hall, SGN is looking to develop its consumer business along with its current e-commerce operations. 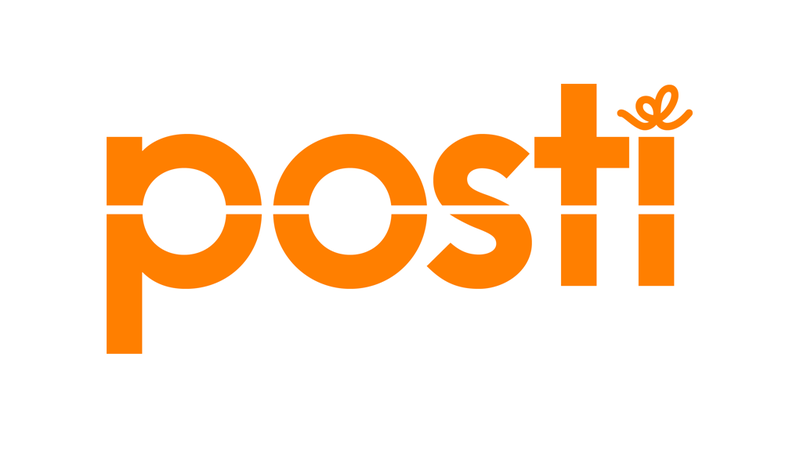 In connection with the transaction, the logistic operations of Hobby Hall with its 130 employees were transferred to Posti Ltd as part of an outsourcing arrangement. Established in 1933, SGN Group is a Finnish family business in the commerce sector. HPP assisted CGI Finland Oy in the outsourcing process of Helmi service. As the result of the process Nextime Solutions Oy, who was previously managing the Helmi service, outsourced its entire Helmi business to CGI, covering maintenance, future development and sales of the Helmi service. Helmi is a fully browser-based service developed in Finland and being used by several municipalities. The service is intended for communication and resource planning purposes in schools, other educational establishments and nurseries. In future CGI will offer the Helmi service to customers in both Finnish and international markets. 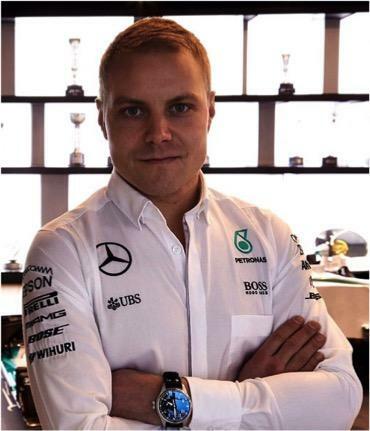 Wihuri signed a sponsorship agreement with Mercedes-AMG Petronas Motorsport Team sponsoring Finnish Formula1 star, Valtteri Bottas, who has just joined the Mercedes F1 team as a driver for the 2017 season. HPP was delighted to assist long-standing client, Wihuri Oy with negotiating and finalising the terms of the sponsorship agreement according to which the ‘Wihuri’ and ‘WIPAK’ brand names will be licensed for use by the Mercedes F1 team. HPP wishes Valtteri Bottas all the best for the F1 season ahead! HPP acted as the legal advisor on the establishment of Finnish Medicine Verification Organisation (FiMVO) Ltd, a company responsible for implementing the medicine verification system in Finland. 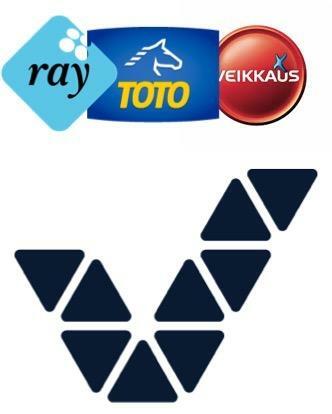 The founding shareholders of the company are Lääketeollisuus ry, Orion Corporation, Rinnakkaislääketeollisuus ry, Suomen Lääkerinnakkaistuojat ry, Suomen Apteekkariliitto ry and Apteekkitavaratukkukauppiaat ry. 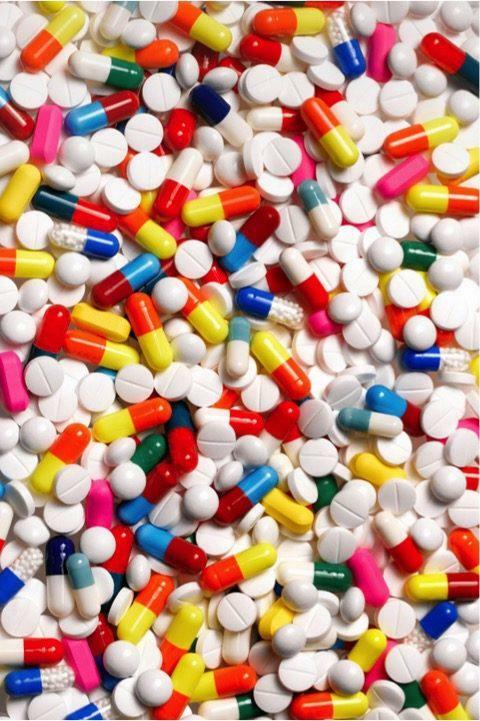 The medicine verification system is based on the requirements set out in the Falsified Medicines Directive, a directive aiming to prevent falsified medicines from entering the legal pharmaceutical supply chain and reaching patients. The verification system should be put into operation by early 2019. In addition, HPP also assists Finnish Medicine Verification Organisation (FiMVO) Ltd with questions relating to the introduction of the medicine verification system, including negotiating a delivery contract with the system vendor. HPP acted as the legal counsel for Ownership Steering Department of the the Prime Minister’s Office in connection with the merger of Veikkaus Ltd, Finland’s Slot Machine Association and Fintoto Oy into a single state-owned entity. The merger was implemented at the turn of the year, when the new gaming company began its operations. The new company is called Veikkaus Ltd.
HPP advised on all legal aspects of the arrangement, including planning the structure, legal due diligence process, drafting documentation relating to the transfer of the business of Finland’s Slot Machine Association, drafting and negotiating the sale and purchase agreement of Fintoto Oy shares between Suomen Hippos ry and the new gaming company, and the merger of Fintoto Oy and Veikkaus Oy into the new gaming company. HPP advised Reima Oy in the sale and purchase of the business of Finnish Baby Box Oy. This business transfer results in Reima Oy strenghthening its digital business capabilities. Reima ™ is a leading brand for children´s clothes. Established in 1944 in Kankaanpää, Finland, Reima Oy employs 240 people. Company´s turnover in 2015 was approximately 74,5 M €. Reima Oy exports 80 % of its products to approximately 30 countries. HPP advised the SUSI Renewable Energy Fund II and its fund advisor SUSI Partners AG (“SUSI”) on the successful acquisition by SUSI of a 21MW, 7 Siemens turbine operating wind farm in Pirttiselkä, Raahe, Finland. 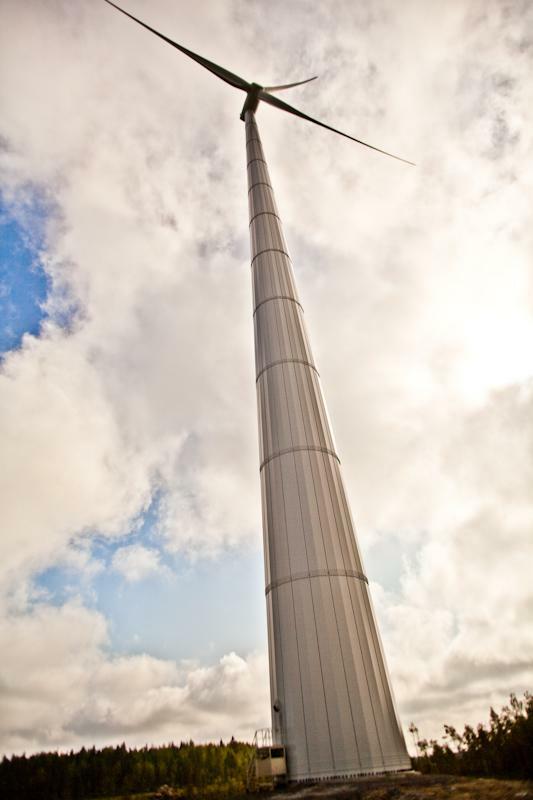 The wind farm was built and operated by Puhuri Oy, a leading Finnish wind farm developer and operator and has been in operation and receiving feed-in-tariff since late 2013. HPP’s team advised on legal aspects of the transaction including negotiating and finalising the asset purchase agreement, related completion actions and negotiating and finalising the senior and junior debt documentation. The senior debt package was provided by Landesbank Baden Württemberg. The value of the transaction will remain confidential. The deal was the second major Finnish renewable energy project acquisition on which HPP has advised the fund advisor, SUSI Partners AG, based in Zurich, Switzerland. HPP acted as the legal counsel for the Finnish Transport Agency in connection with delivering the world’s first LNG-powered icebreaker. 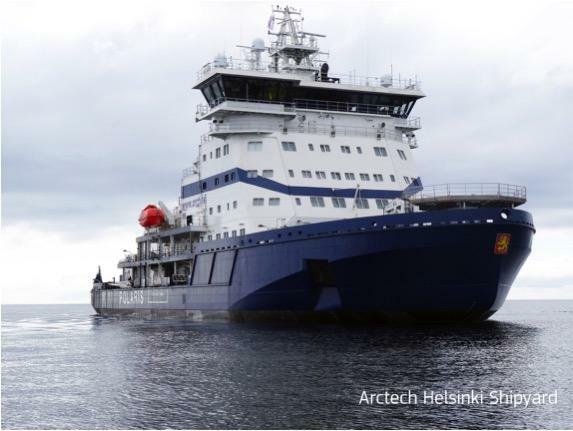 Arctech Helsinki Shipyard Inc delivered the icebreaker Polaris to the Finnish Transport Agency on 28 September 2016, whereafter the Finnish Transport Agency sold the vessel to Arctia Icebreaking Ltd, a subsidiary of the state-owned Arctia Ltd.
HPP advised the Finnish Transport Agency during the course of the entire project of acquiring the vessel, from the competitive tender process until the recent delivery. HPP advised Terrafame Group Ltd. and Terrafame Ltd. in a transaction in which Terrafame Ltd. purchased essential assets related to the operation of the Sotkamo mine from Talvivaara Mining Company Plc. The assets being acquired included, for example, the lime plant necessary for the production process, the laboratory, and the geological data related to the mine. The HPP team was led by Managing partner Markku Mäkinen. Partner Tarja Pirinen, Senior Associate Jussi Salo as well as other HPP lawyers were part of the HPP team. Terrafame Group Ltd. is a special-purpose company wholly owned by the State of Finland. It is responsible for managing the state ownership and exercising the owner’s power at Terrafame Ltd. Terrafame Ltd. is a Finnish mining company producing primarily nickel and zinc by bioheapleaching at its mine located in Sotkamo. The aim is environmentally sustainable, safe and economically viable mining operations. Terrafame Ltd. is owned by Terrafame Group Ltd.
HPP successfully represented Metsäliitto Cooperative (parent company of Metsä Group) in a competition infringement damages case brought by Metsähallitus against Metsäliitto Cooperative, Stora Enso Ltd and UPM-Kymmene Ltd. The case is one of the largest competition infringement damages cases heard in the Finnish courts. In its claim filed in 2011, Metsähallitus claimed a capital amount of nearly 160 million euros in damages jointly and severally from the forestry companies. In addition, Metsähallitus claimed profit and penalty interest on the capital and compensation of its legal expenses, which increased the amount of Metsähallitus’ overall claim significantly. Metsähallitus’ claim was based on the Market Court’s decision given in 2009, whereby Metsäliitto, Stora Enso and UPM-Kymmene were found to have acted in a manner prohibited by the Competition Infringement Act on the Finnish roundwood market during 1997-2004. 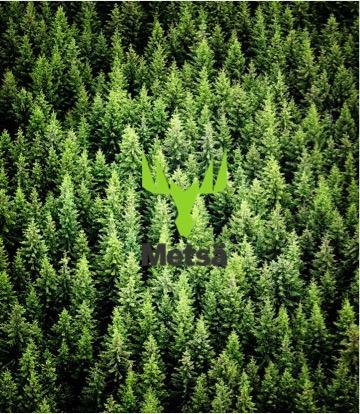 In its decision of 22 June 2016, the Helsinki District Court dismissed Metsähallitus’ claim in its entirety and ordered Metsähallitus to compensate the forestry companies’ legal costs in full. The District Court also considered the Finnish Supreme Court’s ruling KKO 2016:11, based on which some of the claims presented by Metsähallitus were dismissed as being statue barred. As is customary for damages claims relating to competition infringements, the District Court was presented with a significant amount of economic expert evidence and other evidence. The District Court considered in its judgment that the forestry companies’ prohibited information exchange had not been proven to have caused Metsähallitus damage in the form of underpriced round wood either during or after the competition infringement. HPP’s team was led by Partners Jörgen Hammarström and Vesa Silaskivi. In addition, the team included Senior Associate Julia Pekkala, Senior Associate Markus Hamro-Drotz, Senior Associate Lasse Luoma, Associate Anu Ala-Outinen and Associate Jesse Viljanen. 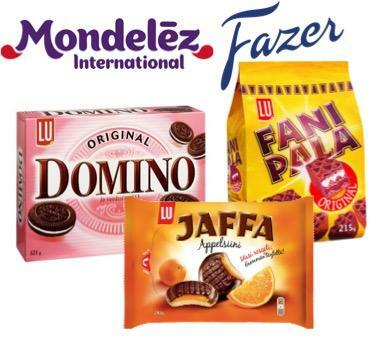 HPP advised Mondelez International in its sale of the brands Domino, Jaffa and Fanipala to Fazer Group. Domino, Jaffa and Fanipala are all well known and established biscuit brands in Finland. The history of Domino dates back to 1950s and it is very traditional in Finland. The HPP team was led by Managing Partner Markku Mäkinen. Other members of the team included Associate Jussi Salo. HPP advised Cramo Finland Oy in the acquisition of logistics and telescopic handler company Kurottaja- ja Kuljetuspalvelu Parviainen Oy’s business. 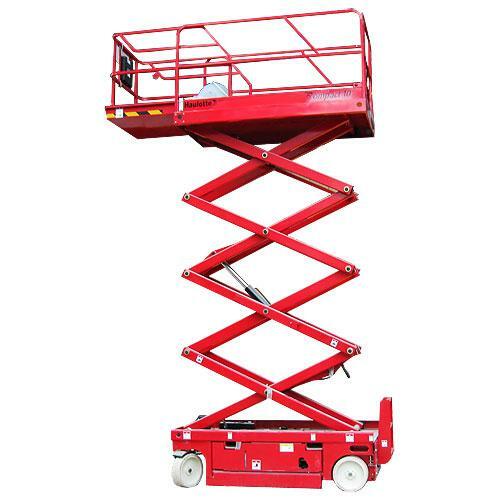 The company has specialised in telehandler services. The HPP team was led by Managing Partner Markku Mäkinen. Other members of the team included Associate Stefan Boshkov. Cramo is a full-service rental solutions provider that rents modular space in addition to construction machinery and equipment. 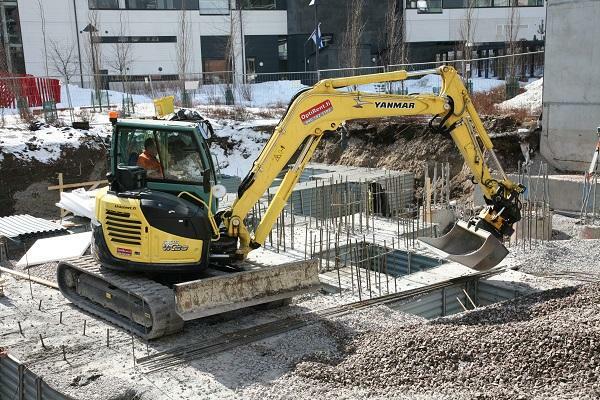 Cramo also offers support services for construction, renovation and maintenance. Cramo is a leading service provider in its field in the Nordic countries and Central and Eastern Europe. HPP advised Etteplan Oyj in the acquisition of all shares in Espotel Oy, a company specializing in embedded systems-related services, and in Soikea Solutions Oy, a company specializing in solutions for the industrial internet. The transactions, completed by April 4, 2016, substantially strengthened Etteplan Oyj’s position in the digitalization services market, especially in the areas of embedded systems and IoT solutions. The combined 2015 revenue of the acquired companies was approximately EUR 29 million. HPP’s team was led by Specialist Counsel Mikko Sundström and Managing Partner Markku Mäkinen. Due to the scope and duration of the project, additional HPP Partners and Associates joined the project team as required. HPP advised Skaala Group in the financing arrangements related to its 14 million euro investment programme. The arrangements included, amongst others, loan and export credit arrangements related to glass production technology supplied by Austrian Lisec GmbH. Skaala Group is one the largest providers of window, door and glass solutions in the Nordics. Its sales amounted to some 100 million euro in 2015. Skaala has already for long time developed pioneering energy efficient products. HPP’s team consisted of Partner Björn Nykvist, Senior Advisor Jouko Kiesi and Associate Jussi Salo. HPP advised the EIB on the Finnish aspects of a EUR 8 million facility to NewIcon for its development and innovation activities in the field of medicine logistics. The company’s new automation solutions will facilitate the work of nursing staff at each stage of the medicine supply process in pharmacies and hospital wards. This transaction is supported by the new generation of financial instruments for innovative growth companies “InnovFin – EU Finance for Innovators”, with the financial backing of the European Union under Horizon 2020. “InnovFin MidCap Growth Finance” is specifically dedicated to improving access to risk finance for the research and innovation projects of midcaps and SMEs. 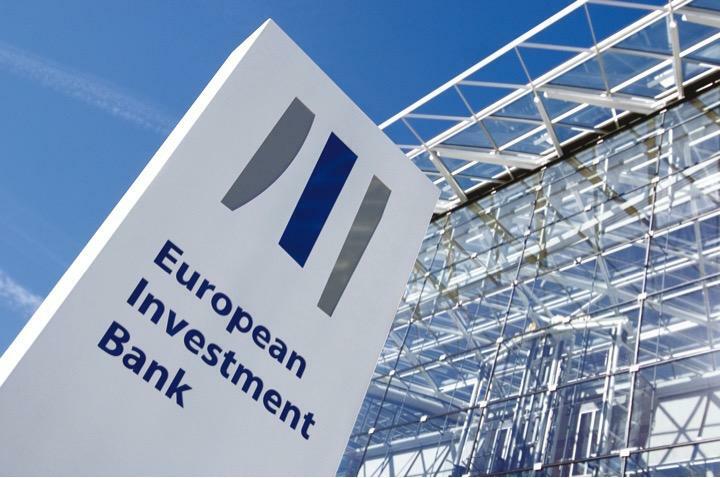 The European Investment Bank is the long-term lending institution of the European Union owned by its Member States. It makes long-term finance available for sound investment in order to contribute towards EU policy goals. In 2015 the EIB fostered projects in Finland with loans totalling EUR 1.62bn – this is an all-time record high EIB commitment in Finland. NewIcon Oy is a health technology company, founded in 2007 by the current CEO Ossi Parviainen, and located in Kuopio. NewIcon is the market leader in pharmacy storage automation in Finland. The company’s roots go back to industrial automation, where Newicon is a well-known supplier in extensive projects for large industrial players. In recent years, NewIcon has honed its skills to become a professional in automation solutions for medicine suppliers and has already delivered systems to more than sixty pharmacies and hospital pharmacies. Deliveries have already been made to several other countries. The HPP team was led by partner Björn Nykvist with associate Sini Paajanen as the key member. Norton Rose Fulbright LLP acted as the lead external counsel in the matter when assisting EIB’s Legal Directorate. HPP advised the EIB on the Finnish aspects of a EUR 15 million facility to Kiosked, for its research, development and innovation activities in the field of online advertising platforms and software. This first EIB equity-type transaction in Finland is supported by the new generation of financial instruments for innovative and growth companies “InnovFin – EU Finance for Innovators”, with the financial backing of the European Union under Horizon 2020. “InnovFin MidCap Growth Finance” is a facility specifically dedicated to improving access to risk finance for the research and innovation projects of midcap and SMEs in the European Union. Kiosked is the next generation platform for intelligent advertising and audience intelligence, designed to solve the industry’s major issues around content monetization, viewability and relevancy of ads. Kiosked does this by dynamically turning any content into unique ad placements across any screen and any ad format. Kiosked has been selected as one of the world’s best technology companies and was recently ranked as a national European Business Awards 2015/16 champion. The HPP team was led by partner Björn Nykvist with associates Elina Valkonen and Sini Paajanen as the key members. Norton Rose Fulbright LLP acted as the lead external counsel in the matter when assisting EIB’s Legal Directorate. HPP advised Robert Bosch Venture Capital, the venture capital arm of the German Bosch Group financing innovative growth companies, on all aspects of its acquisition of shares in and 3MEUR investment into Optomed, a Finnish company providing fundus screening and diagnostics products and solutions that can help eye care professionals in prevention of blindness. HPP’s team in the transaction included Björn Nykvist (lead partner), Partner Andrew Cotton, Senior Associate Salla Viitikko, Associate Elina Valkonen and Associate Aleksei Hanninen. HPP advised Etteplan Oyj in the acquisition of the business and subsidiaries of Suunnittelu ja Asennusten Valvonta – SAV Oy completed on August 31, 2015. SAV Oy specializes in technical engineering and project management services. 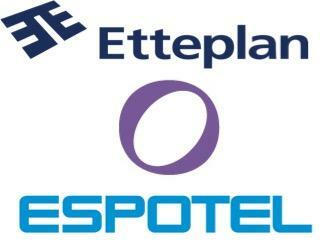 Etteplan Oyj is a specialist in industrial equipment engineering and technical documentation solutions and services and the market leader in Finland, also belonging to the most significant market players in this area in Europe, also having a strong presence in China. HPP also supported Etteplan Oyj in the related share issue directed to the seller. Managing Partner Markku Mäkinen was responsible for the transaction. HPP’s team was led by Specialist Counsel Mikko Sundström. Several Partners and Associates participated in the project. 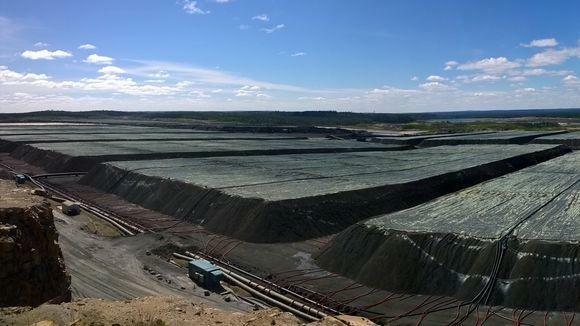 HPP advised Terrafame Group in the sale and purchase of the business and assets of the Sotkamo mine from the bankruptcy estate of Talvivaara Sotkamo Oy. The closing of the transaction took place on August 14, 2015. Terrafame Group Oy is an entity wholly owned by the State of Finland. Terrafame Group consists of Terrafame Group Oy and its operational subsidiary Terrafame Oy. 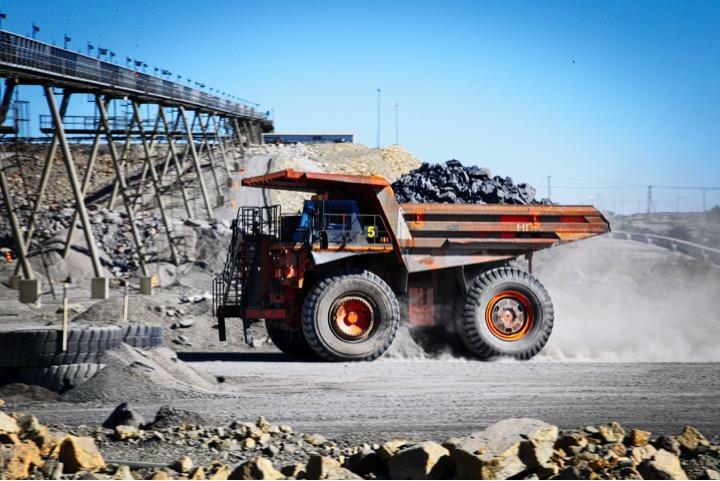 The State of Finland has in its budget reserved 209 million euros for the re-start of the mining operations. Terrafame Oy will re-start the mining operations in Sotkamo immediately. The mine operates by using heap leaching method to produce mainly nickel and zinc. “HPP’s environmental and mining law expertise combined with a solid track record in transactions and financing projects helped remarkably during the various phases of the project, in the formation of the new mining company as well as in the completion of the transaction” says Matti Hietanen, Government Counsellor, Ministry of Employment and the Economy and the Chairman of the Board of Directors of Terrafame Group. The HPP team was led by Managing partner Markku Mäkinen and Partner Tarja Pirinen. Due to the scope and duration of the project many HPP Partners, Senior Associates and Associates participated in the project. HPP advised a Denmark-based investment fund, European Retail Holding as it sold three shopping center properties located in Hyvinkää, Salo, and Tampere. The buyer in the transaction was a Nordic property investment fund Nordic Real Estate Partners. The total purchase price is nearly 24 million euros, of which the respective shares of each property are as follows: Hyvinkää property 5,7 million euros, Salo property 10,5 million euros, and Tampere property 7,7 million euros. HPP’s team was led by partner Jari Tuomala, who was assisted by senior associate Antti Rikala and associate Santeri Syrjälä. HPP advised Quorum Real Estate Development Fund I LP as it acquired a commercial property located in Pitäjänmäki Helsinki, address 6–8 Konalantie. The seller in the transaction was V+ Nordic -fund which is managed by Valad Europe. Purchased real estate comprises of three office buildings built in 1980’s. Main tenants of the property are City of Helsinki and Suomen Lähikauppa. In addition there are several other tenants. The debt free purchase price of the property was 6,7 million euros. Taivallahti Barracks, historical barracks site located in Taka-Töölö district of Helsinki, formerly used by the vehicle company of Taivallahti, will gain a new life in an adaptive reuse project. Auratum Kiinteistöt Oy, a part of the Auratum group, bought the deserted site from Senaatti-kiinteistöt. The investor of the site will be Veritas Pension Insurance. The facilities to be renovated in the former garage and barracks building will include a supermarket, nursing home, office and meeting facilities, restaurant and business facilities as well as an underground parking garage. Moreover, loft apartments will be constructed by Auratum Asunnot Oy in a building used by a repair workshop of the former vehicle company. Once the site is finished the aggregate area to be leased therein will total over 11,000 square meters, and the total value of the investment is over 30 million euros. The major tenants on the site will include Kesko Corporation, Mikeva Oy, the Parish Union of Helsinki, and Q-Park Finland Oy. The development of the barracks site that will be redeveloped for a totally new multipurpose use required not only expertise in contract law relating to the sale and purchase of the site, but also extensive knowledge in a variety of special questions concerning real estate law. HPP’s team was led by partner Jari Tuomala, who was assisted by senior associate Antti Rikala and associate Pauliina Lievonen. HPP represented the shareholders of Cabforce Oy in the sale and purchase of the shares in Cabforce Oy to Ireland based CarTrawler. Cabforce is a technology and services company that is a leading provider of taxi booking solutions. CarTrawler in turn is a leading travel-technology platform and online aggregator of car rental and ground transportation services. HPP team was led by Partner Markku Mäkinen. Other key members of the HPP team included Associate Teresa Kauppila and Associate Aleksei Hanninen. 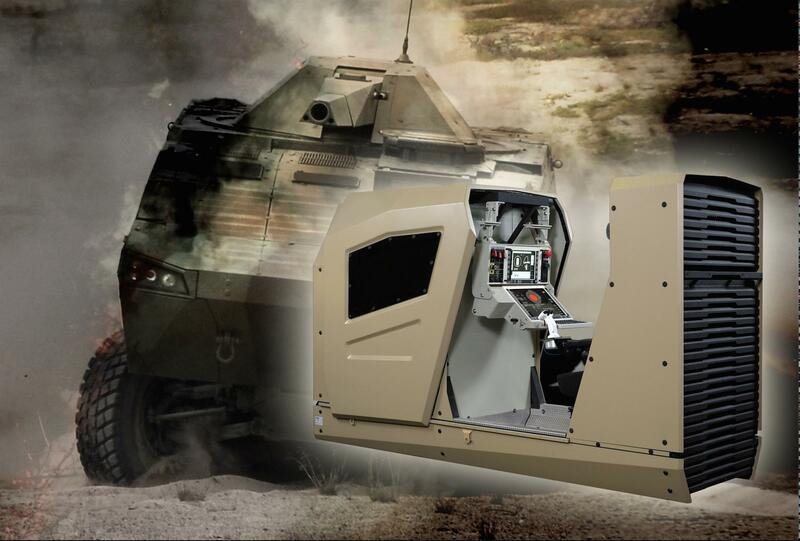 HPP assisted RUAG Space, a leading supplier of equipment to the global space industry, in its acquisition of a space technology and services unit from Patria the leading Finnish defence, security and aviation technology and services provider. According to Urs Breitmeier, CEO of RUAG: “ The acquisition of Patria’s Space unit gives us the opportunity to broaden our technology base and to enhance our product portfolio in the area of Space Electronics. This will help us further improve our position particularly in the commercial Satellite market”. 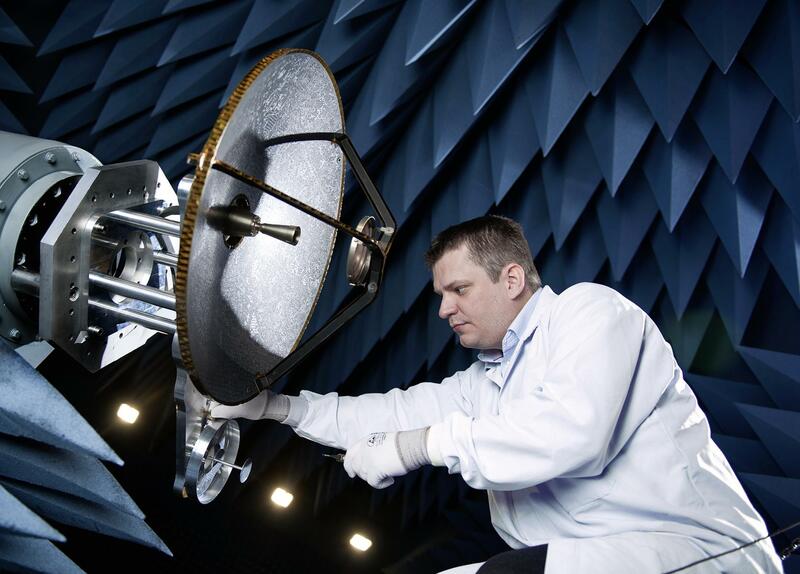 RUAG Space, which belongs to the RUAG Group, is Europe’s leading equipment supplier to the space industry. With 1,150 employees at seven sites in Switzerland, Sweden and Austria, the RUAG Space Division recorded total sales of 299 million Swiss Francs in 2013. The key members of the HPP team included Partner Björn Nykvist and Associates Sami Tenhunen and Aleksei Hanninen. For more information about the transaction, please see RUAG’s press release. The Redemption Committee of the Finnish Chamber of Commerce has appointed Pekka Puhakka as the sole arbitrator in the arbitral proceedings regarding redemption of the minority shares in Sanitec Corporation. HPP advised Posti Group Corporation in a sale and lease back transaction, in which Posti Group sold properties to a Norwegian real estate investor Ness, Risan & Partners. The value of the transaction was approximately 120 million euros and as such is the biggest logistics real estate transaction ever in Finland. The transaction included three postal sorting centers, one warehouse and one freight terminal to be constructed and leased back by the end year 2016. Posti Group continues its operations on the aforementioned properties based on long term lease agreements. HPP team was led by partner Jari Tuomala, who was assisted by senior associate Antti Rikala and associate Pauliina Lievonen. Pekka Puhakka acted as the chairman of the arbitral tribunal nominated by the redemption board of the Central Chamber of Commerce in a redemption dispute regarding minority shares of Pohjola Pankki Plc. The redemption dispute in question was one of the largest in value in Finland since the redemption price confirmed by the arbitral tribunal was over EUR 80 million in total. There were more than 2.300 minority shareholders. HPP advised Cramo Finland Oy on the sale and purchase of shares in Vuokra-Pekat Oy, a specialist in construction equipment rental. The HPP team was led by partner Markku Mäkinen. Other members of the team included associate Salla Viitikko and associate Aleksei Hanninen. Cramo is Europe’s second largest rental services company specialising in construction machinery and equipment rental and rental-related services as well as the rental of modular space. According to the Finnish Waste Act and municipal waste management regulations, municipal waste had to be transported to a municipal waste management company. A waste transportation company, operating nationwide, had been transporting waste past the municipal waste company for years, whereupon the company didn’t receive payments for waste management. The court’s ruling in this case was the first of its kind. The district court approved the waste management company’s claim for damages of 423 000 euros in its entirety and obligated the waste transportation company to pay the claimed amount, plus penalty interests. At HPP, the proceedings were handled by senior associate Johan Pråhl, associate Miikka Rantanen and partners Pekka Puhakka and Jouni Alanen. The Supreme Administrative Court gave 27.10.2014 three decisions with the same contents to appeals made by three telecommunications companies. In the decisions the court overturned the decisions of Finnish Communications Regulatory Authority (FICORA) from the parts where telecommunications companies were obliged to follow regulated maximum prices in wholesale prices of broadband connections. The Supreme Administrative Court found that FICORA had not pointed out that the obligation to follow maximum prices was necessary within the meaning of Communications Market Act. The court stated that there was no justification for obligated maximum prices in optical fibre connections also because milder regulation was not tried first. Attorneys Vesa Silaskivi and Maarika Joutsimo from Hammarström Puhakka Partners assisted TeliaSonera Finland Oyj in the appeal to the Supreme Administrative Court. HPP assisted the state’s Ownership Steering Department in a transaction whereby Patria acquired the rest of its shares owned by Airbus Group. Following the transaction, Patria will fall entirely under the State control. The project was led by partners Vesa Silaskivi, Antti Säiläkivi and Tuomas Saraste, assisted by senior associates Antti Rikala, Iiro Lähdevuori and Anu Aaltonen. 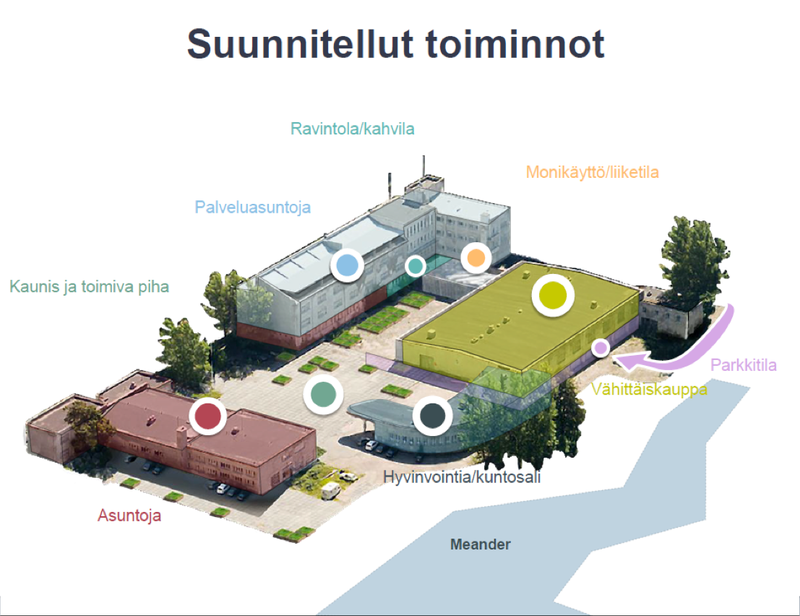 The Municipal Council of Tuusula accepted the Rykmentinpuisto partial master plan in its decision 7.5.2012 § 48. According to the plan new residential areas were to be located nearby the Helsinki-Vantaa airport area on the aircraft noise area Lden > 55 dB marked on the appendix to the new environmental permit, which had not yet gained legal force. Finavia Oyj, amongst others, appealed the decision of the Municipal Council of Tuusula to the Administrative Court of Helsinki, which dismissed the appeals. The decision of the Administrative Court of Helsinki was appealed to the Supreme Administrative Court, which gave its decision on the matter on 13th October 2014. The Supreme Administrative Court overthrew the decisions of the Municipal Council of Tuusula and the Administrative Court of Helsinki concerning areas AP (a compact single family residential area) and A-2 (a compact residential area). The Supreme Administrative Court stated that according to the decision subject to appeal new residential areas were planned on areas where aircraft noise would, according to current reports, exceed the level of Lden 55 dB. The Supreme Administrative Court considered that construction allowed by the partial master plan on areas where aircraft noise would exceed the level of Lden 55 dB is at least partly something else than additional construction. The noise curves in the environmental permit application’s appendices have been included in the data of the decision subject to appeal. The relevant question according to the Supreme Administrative Court was, whether all relevant facts have been taken into consideration in an adequate way and in accordance with section 9 in the Land Use and Building Act when preparing the partial master plan. In its decision the Supreme Administrative Court stated that the noise curves in the appendices to the environmental permit application should be considered as best available data regarding estimated air craft noise in these areas in year 2025. The air craft noise curves are such specific data that should be taken into consideration when drafting the local master plan. The Supreme Administrative Court considered that the legal validity of the environmental permit did not have significance in this case. The Supreme Administrative Court stated that when drafting the local master plan the opportunities for a healthy living environment, as stated in the Land Use and Building Act section 39 paragraph 2 subparagraph 5, were not adequately taken into consideration regarding the above mentioned areas. The Supreme Administrative Court partly overthrew the decisions approving the partial master plan, since the decisions were illegal concerning areas AP (a compact single family residential area) and A-2 (a compact residential area). HPP assisted Finavia Oyj to appeal the decisions of the Municipal Council of Tuusula and the Administrative Court of Helsinki. HPP assisted MTV Oy in a business transfer which combines the sales organizations of Radio Nova and NRJ Finland to carry out the media sales of three radio stations, Radio Nova, NRJ and Nostalgia. The HPP team was led by partners Markku Mäkinen and Tuomas Saraste, assisted by senior associates Maarika Joutsimo and Anu Aaltonen as well as associates Kiti Karvinen, Sami Tenhunen and Aleksei Hanninen. MTV Oy and MTV Media Oy are part of Bonnier Group. The Redemption Committee of the Central Chamber of Commerce has appointed Pekka Puhakka as the chairman of the arbitral tribunal in the dispute concerning redemption of Pohjola Pankki Plc.’s minority shares. The arbitral tribunal shall i.a. decide whether the redemption right exists and, in the event the said right is considered to exist, to confirm the price, with which the minority shares are to be redeemed. HPP was pleased to assist Aquila Sachwert Basisfonds I Wald S.A, a Luxembourg fund and its Finnish Special Purpose Vehicles in closing the acquisition of significant forestry assets from leading Finnish forest owner, UPM Kymmene Oyj as well as securing a long-term commercial relationship concerning the management of the forest and harvesting of the standing timber located on the forest area. The deal involved a range of legal issues including those issues arising from implementation of the SPV and ownership structure, real estate, tax planning and commercial agreement drafting. Corporate partner Andrew Cotton led the HPP team which also included Real Estate partner Jari Tuomala and Associates Pauliina Lievonen and Sini Paajanen. HPP advised Swedbank AB (publ), a Swedish listed bank, on a 30 million euro term loan facility. The HPP team was led by Björn Nykvist. Other members of the team included associate Elina Valkonen, associate Maria Wesander and specialist counsel Marko Hovi. We are currently advising Mutual Pension Insurance Company Etera (one of the largest insurance companies in Finland) in a development project in which Etera will acquire from a construction company Hartela Oy, a retail site which Hartela will construct as an extension to Shopping Center Skanssi in Turku. 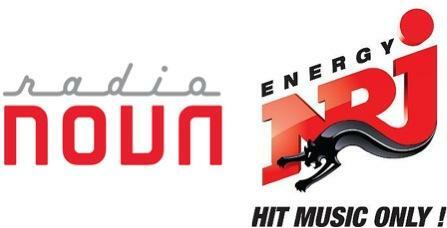 XXL Sports & Outdoor Oy will be a main tenant of the site. The objective is to open the XXL store in spring 2015. Our advice has covered, amongst others, corporate, tax and real estate matters and legal due diligence reviews as well as drafting and negotiating acquisition, lease and construction agreements. Responsible partner Jari Tuomala, other team members; Senior Associate Antti Rikala, Senior Advisor Jouko Kiesi and Associate Pauliina Lievonen. HPP assisted Tuulitapiola, LähiTapiola Group’s property asset management division’s wind project investment fund, as one of the bidders in the auction process arranged by Metsähallitus, a public authority administering more than 12 million hectares of state-owned land and water areas, relating to two wind power projects of in aggregate 64 turbines. HPP advised on the legal due diligence and the drafting of the transaction documents as well as assisted the client in preparing its final bid. The HPP team was led by corporate partner Björn Nykvist, assisted by senior associate Timo Ukkonen and associates Laura Leino and Elina Valkonen. HPP advised CHG-MERIDIAN AG, a German technology management company, on the Finnish aspects of an acquisition, whereby CHG-MERDIAN acquired 100 percent of the ACENTO Group. Through the acquisition CHG-MERIDIAN gained direct market access to four Nordic countries in a single stroke: ACENTO Group manages technology investments for its customers (with a total value of more than €167 million) in Denmark, Finland, Norway and Sweden. The key members of the HPP team included Partner Björn Nykvist and Associate Kiti Karvinen. For more information about the transaction, please see CHG-MERIDIAN`s press release. 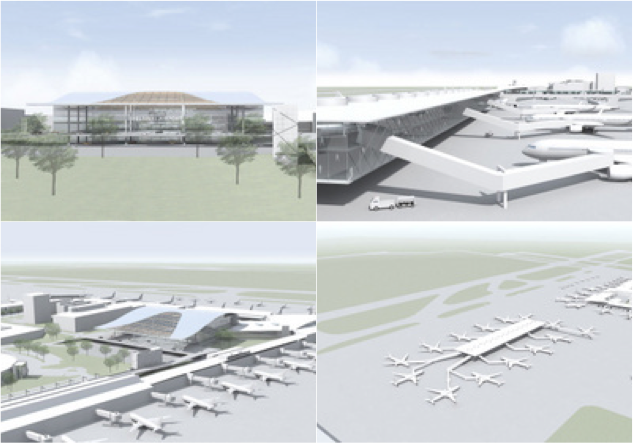 HPP has been selected to be legal counsel to Finavia in its development programme of Helsinki-Vantaa airport. The development programme will be carried out during 2014-2020 and its main focus is on increasing the capacity of transfer passengers and improving traffic management. Finavia’s goal is to increase passenger capacity of the airport up to 20 million passengers a year during the next ten years. The value of the programme is approximately 900 ME. We are assisting Finavia in legal matters related to i.a. real estate and construction as well as public procurement. Partner Jari Tuomala, partner Jouni Alanen, partner Mikko Leppä, senior associate Antti Rikala and senior associate Klaus Majamäki are amongst others members of the HPP’s project team. HPP advised Neste Oil Corporation on completing the arrangement whereby Neste Oil’s key vessels were sold to companies owned by National Emergency Supply Agency and Ilmarinen Mutual Pension Insurance Company. Simultaneously with the sale of the vessels a set of long-term lease agreements, under which Neste Oil leased the vessels back, was executed. Also as a part of the restructuring an asset management company owned by Neste Oil, Ilmarinen and the National Emergency Supply Agency was established to manage and administer the vessel assets. HPP has advised Neste Oil during all phases of the arrangement. HPP advised Neste Oil also on outsourcing of its ship management functions to a Finnish subsidiary of OSM Group AS of Norway. 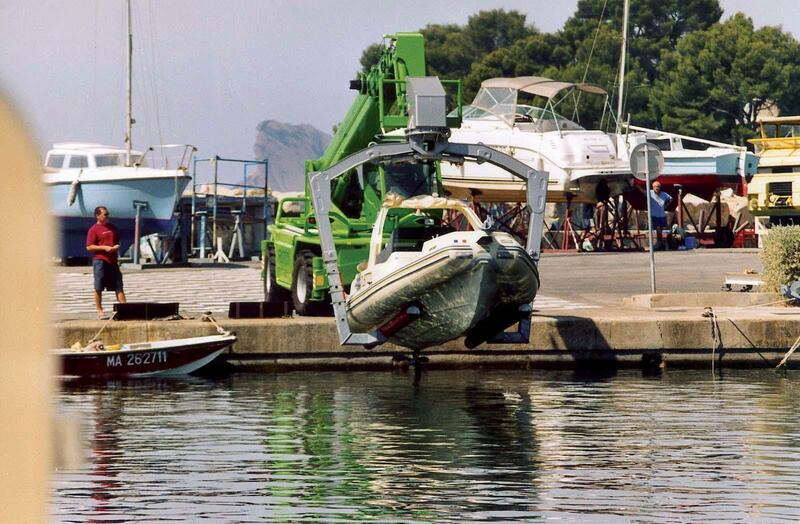 Said arrangement was also executed simultaneously with the sale of the vessels. The HPP team was led by partner Björn Nykvist. Other key members of the team included partner Nora Gahmberg-Hisinger as well as senior associate Iiro Lähdevuori, associate Teresa Kauppila, associate Elina Valkonen and associate Matias Leskinen. More information can be found in Neste Oil’s press release. HPP assisted LähiTapiola to negotiate a frame agreement with Tieto Finland Oy regarding the provision of maintenance, project and consulting services to LähiTapiola Group. The frame agreement included several sub-agreements including project frame agreement, maintenance, support and small enhancement agreements, consulting frame agreements etc. HPP also assisted LähiTapiola to negotiate with SAP Finland Oy regarding the procurement of SAP FICO and HRM software. The value of the frame agreement and SAP implementation project is several million euros during the term of the agreement. Partner Terho Nevasalo was responsible for leading the project on behalf of HPP. The object of the road survey regarding the improvement of Highway 7 at Hamina was a location previously serving as the company’s service station property. The service station property owned by the company was located for the most part in an area designated in the local detailed plan as a traffic area (LT) and a portion of approx. 0,2 hectares thereof was located in a buffering green zone (EV-1). The company demanded that said service station property be expropriated in its entirety both in regard of the traffic area as well as the buffering green zone as the company had no use for the remaining buffering green zone. The compensation for the ground should be confirmed at 40 EUR per square meter. As the party responsible for road management, the Centre for Economic Development, Transport and the Environment of Southeast Finland (ELY Centre) deemed that the object for the expropriation should only include the traffic area. The ELY Centre proposed the value of the ground to be 4 EUR per square meter. The party responsible for road management was ordered in the road survey to expropriate the part of the property which belonged to the traffic area. The expropriation committee deemed that the remaining property designated in the local detailed plan as buffering green zone had lost its value as a commercial property and presently only corresponded to the value of raw land, which was 2 EUR per square meter. The expropriation committee ordered the difference between the compensation for the ground in the traffic area and the value of raw land to be compensated to the company as a decrease in the value of the remaining property. By virtue of the company’s appeal the Land Court repealed the survey decision regarding the decrease in the value of the remaining property and ordered also the remaining property to be expropriated. The Land Court further increased the compensation to amount to 23 EUR per square meter in regard to the entire expropriated property. The party responsible for road management, i.e. the ELY Centre, appealed the decision of the Land Court before the Supreme Court. The question raised before the Supreme Court was limited to whether the party responsible for road management was obliged to expropriate also the remaining property from the company. The Supreme Court left the outcome of the judgment of the Land Court unaltered. As its conclusion the Supreme Court stated that as the highway gave rise to substantial inconvenience in using the remaining property and such inconvenience cannot be eliminated or materially reduced through land consolidation, there are grounds for expansion of expropriation as referred to in Section 67 of the Highways Act. The party responsible for road management, i.e. 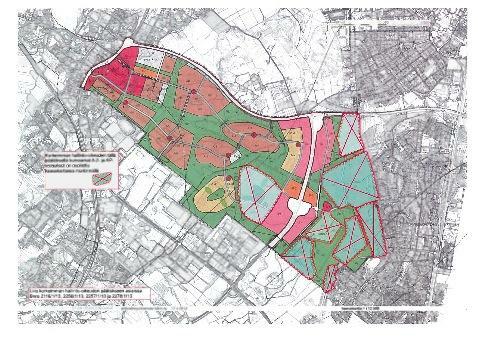 the ELY Centre, was therefore obliged to expropriate from the company even the remaining property located in the area designated in a local detailed plan as buffering green zone in accordance with the company’s demands. We advise Roomy Oy, a real estate developer specialized in residential development, in a project in which Roomy will restore a historical “Ohrana” building located at prime address Korkeavuorenkatu 21 in downtown Helsinki back to residential use. To date we have advised Roomy in the bidding and preliminary agreement phase of the real property acquisition process whereby Roomy and Senate properties have entered into a preliminary agreement on the sale and purchase of the site. The parties have agreed not to disclose the value of the transaction. You may find more information on the project. HPP’s specialists advising Roomy in the project are Partner Jari Tuomala, Senior Associate Antti Rikala, Senior Advisor Suvi Marttinen and Senior Advisor Mikko Erkkilä. HPP advised Cramo Finland Oy on the sale and purchase of shares in OptiRent Oy, a specialist in earth moving equipment rental. The HPP team was led by partner Markku Mäkinen. Other members of the team included associate Matias Leskinen and associate Aleksei Hanninen. HPP acted as legal advisor to Rosatom Overseas JSC on ownership arrangements, share purchase transaction and project agreements (EPC –contract, nuclear fuel supply contract) on Fennovoima Oy’s nuclear power plant -project. Rosatom Overseas purchased 34 per cent of the shares of Fennovoima Oy from Voimaosakeyhtiö SF. 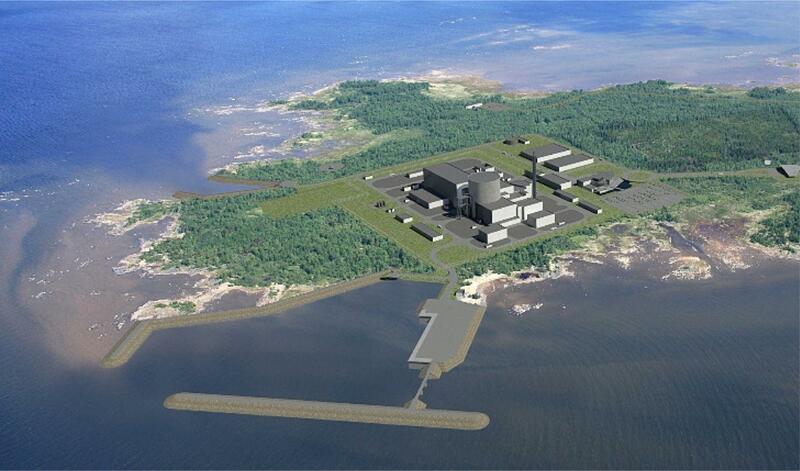 Fennovoima will build its Hanhikivi 1 nuclear power plant in Northern Finland to Pyhäjoki. The HPP team was led by partner Vesa Silaskivi. Other key members of the team included senior associate Antti Rikala, associate Salla Viitikko and associate Aleksei Hanninen. More information can be found in Rosatom Overseas’ and Fennovoima Oy’s press releases. 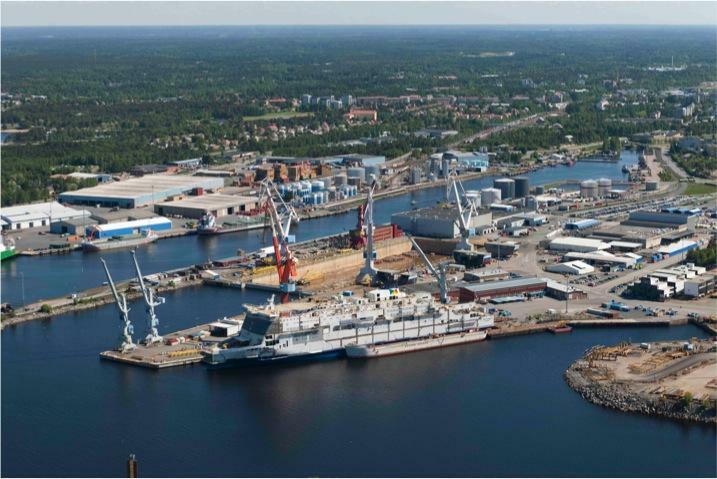 HPP advised a pledge holder on a shipyard sale in which the city of Rauma purchased a shipyard with its buildings and equipment from STX Finland Oy. The value of the sale was approximately 18 million euros. 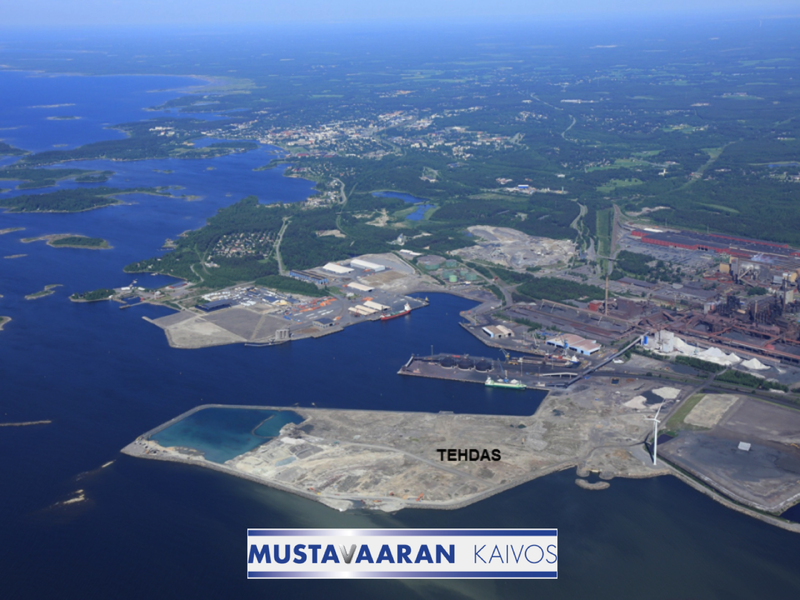 As a part of the transaction, the city transfers the shipyard under the care of Rauman Meriteollisuuskiinteistöt Oy, a limited liability company owned by the city. STX Finland Oy continues to operate the shipyard as a lessor until the existing orders for two ships have been completed. 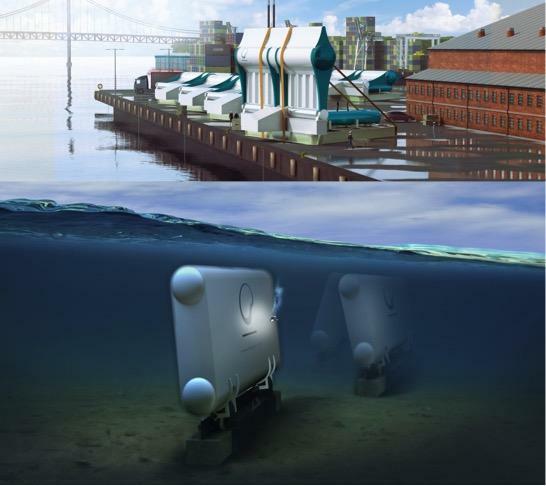 In future the city is planning to use the shipyard as an industry park focused on marine industry and engineering. 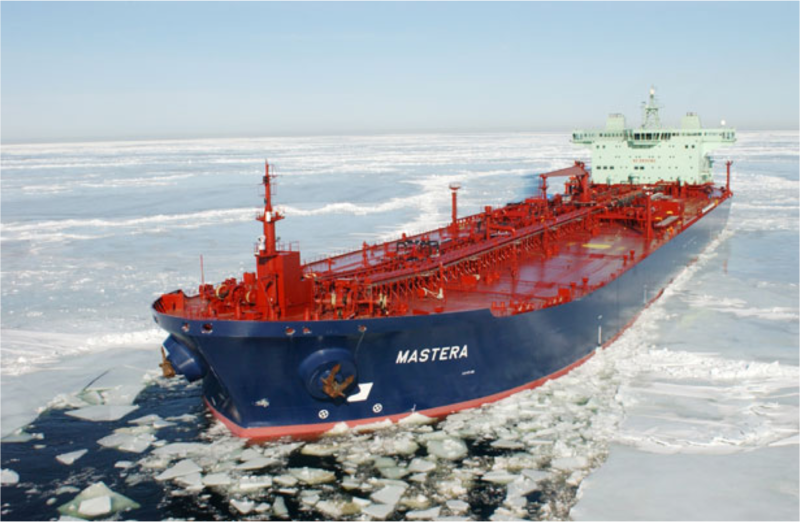 HPP assisted Neste Oil on a transaction, in which Neste Oil and Norwegian-based OSM Group AS agreed on a business transfer of ship management functions of Neste Shipping to OSM. The outsourcing of ship management functions is part of Neste Oil’s plan to exit the shipping business announced on 19 September 2013. Under the agreement, OSM will set up a subsidiary in Finland responsible for the crewing and maintenance of vessels previously under the management by Neste Shipping that continue to be used by Neste Oil. The intention is to transfer the shore and seagoing personnel currently employed by Neste Shipping’s ship management functions to OSM’s new Finnish subsidiary during spring 2014. OSM is a global provider of offshore and ship management services. The HPP team was led by partner Björn Nykvist. Other key members of the team include partner Nora Gahmberg-Hisinger as well as senior associate Iiro Lähdevuori and associate Teresa Kauppila. HPP assisted the Finnish Transport Agency in the public procurement process for ordering and negotiating a new icebreaker. 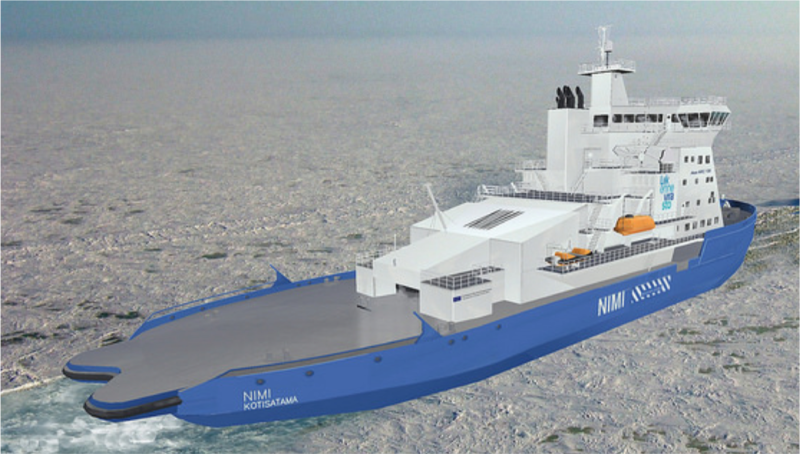 The icebreaker will be built by Archtech Helsinki Shipyard Inc. Procurement of the icebreaker totals 123 million euros. The EU has granted the project 24 million euros, which significantly reduces the share financed by the state. The icebreaker will feature the industry’s most advanced technology and it has been planned especially for operations in the most demanding icebreaking conditions in the Baltic Sea. The icebreaker will be able to perform oil spill response operations and emergency towing under demanding conditions at open sea both in winter and summer, and will therefore operate all year round to ensure safe seaborne transports in the Baltic Sea. The icebreaker will be the first liquefied natural gas-powered icebreaker and its planned state of the art innovations promote Finnish arctic expertise worldwide. The HPP team was led by partner Nora Gahmberg-Hisinger, assisted by senior associate Taru Härkönen and senior associate Markus Hamro-Drotz. ”Our role in the procurement process strenghtened our position as the leading law firm in the maritime and transportation market”, said Gahmberg-Hisinger. 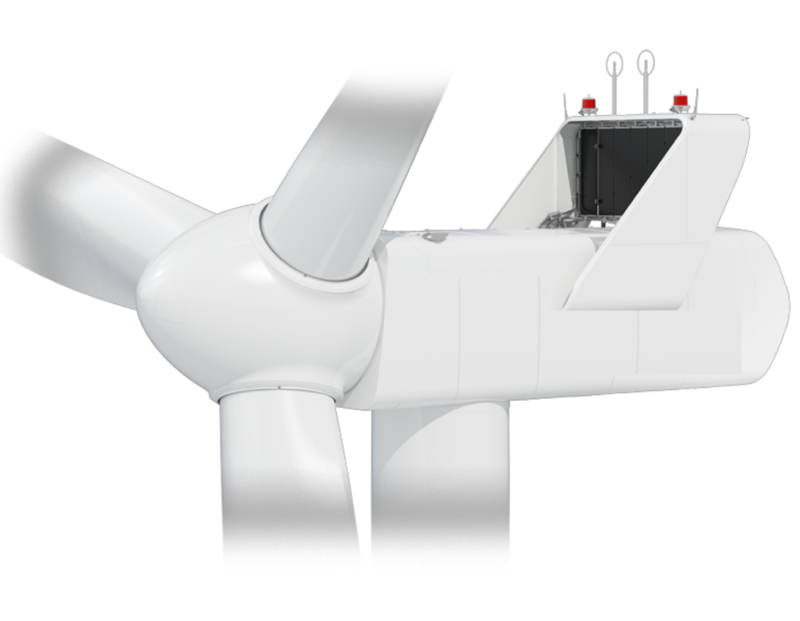 HPP was pleased to advise Susi Partners, a leading renewables fund, on its investment into the Latamäki wind farm project, an 18MW, 6 Vestas turbine project under construction. The HPP team was led by corporate partner, Andrew Cotton, assisted by corporate finance partner Björn Nykvist, head of Environment Kari Marttinen, Senior Associate Timo Ukkonen, Associate Jenny-Li Holmström and Associate Elina Valkonen. The deal represents a landmark in the Finnish wind industry given the debt finance package was provided by a German bank. The Centre for Economic Development, Transport and the Environment (ELY-Centre) issued a decision by which excluded an area the size of 3,7 hectares from clearcutting as a breeding and rest area for flying squirrels based on the appellant company’s forest utilization notification. The company deemed the limitation to be too extensive and appealed against the decision to the Administrative Court of Hämeenlinna. The Court dismissed the company’s appeal. In its decision, the Supreme Administrative Court reversed both the decision of ELY-Centre and the decision of the Administrative Court of Hämeenlinna and returned the matter to ELY-Centre for reconsideration. According to the Supreme Administrative Court, the reasoning set out in legislative documents regarding the small size of the breeding and rest areas and the non-compensation of the protection and the demand for equal treatment of landowners were grounds on which to deem in this case that the protective exclusion area was too large. The decision indicates that the non-compensable protection applied to the breeding and rest areas of flying squirrels should not lead to significant losses for a landowner. In this case the protection would have resulted in a loss of up to 100 000 euros of the sales proceeds of wood. HPP advised the shareholders of Pato Osakeyhtiö on the sale and purchase of the company’s shares to Voimapato Oy, a company established by Pori Energia, Oulun Energia and Oulun Seudun Sähkö. Pato Osakeyhtiö produces electricity in its hydropower plants in South-East Finland at Myllykoski in Kouvola and at Vuolenkoski in Iitti. The assignment consisted of supporting the auction process as well as drafting and negotiating the transaction documents. The clients were advised by partner Markku Mäkinen, senior associate Timo Ukkonen and associate Matias Leskinen. HPP successfully assisted a private party in administrative compulsion proceedings concerning the allocation of duty to investigate the contamination caused by an old landfill which had seized its operations in 1957. Initiated in 2009 in the Centre for the Environment of Uusimaa, the matter advanced via the Administrative Court of Vaasa to the Supreme Administrative Court which rendered in the matter its decision KHO:2013:187, published in the Court’s Yearbook. According to the Supreme Administrative Court the city which had previously operated the landfill and thus caused the contamination could be held responsible to investigate. No previous case law existed in the matter. As the duty to investigate is factually often parallel to the duty to treat the soil which, as such, is a separate responsibility, the decision of the Supreme Administrative Court may be considered to also signify the Court’s stance towards the allocation of the actual treatment responsibility. As an expression of policy concerning both the investigation and treatment responsibility the decision bears significant relevance to several municipalities having operated old landfills because it even imposes the responsibility of old landfills to municipalities as landfill operators. Attorney-at-law, partner Jari Tuomala at HPP provided the assistance in the matter. HPP successfully represented Helsinki Region Environmental Services Authority (HSY) in the Market Court and the Supreme Administrative Court in litigation concerning the public procurement process relating to the Ämmässuo biogas plant. The Supreme Administrative Court ruled in its decision (KHO 2013: 123), published in its yearbook, that the contracting entity in question was exempted from the obligation to apply procurement procedures to the contract, the Act coordinating the procurement procedures of entities operating in the water, energy, transport and postal services sector (Utilities Act)did not apply to the contract in question (neither did the Act on Public Contracts) and, accordingly, the procurement process was excluded in its entirety from the ambit of the obligation to apply procurement procedures to awarding the contract. The case was significant in that it was the first time in Finland that the principles of interpretation relating to contracts covering several activities under Section 10 of the Act coordinating the procurement procedures of entities operating in the water, energy, transport and postal services (Utilities Act) were applied to a CHP plant contract. It was also the first time in Finland that the provisions of the Commission decision of 19 June 2006 establishing an exemption from the obligation to apply procurement procedures to contracts which are intended to enable the contracting entities to carry out electricity generation or the sale of electricity were applied. HSY was assisted by partner Tuomas Saraste and senior associate Timo Ukkonen of HPP’s public procurement practice. The Finnish Competition and Consumer Authority (FCCA) launched an investigation into suspected abuse of dominant market position by Finavia on the grounds of a complaint filed by Oy Lappeenranta International Airport Ltd. In connection with the investigation, the FCCA conducted inspections on the premises of Finavia Corporation and Airpro Ltd in Vantaa and Lappeenranta between 21 and 26 March 2012 and on 5 June 2012. Due to the complaint the FCCA investigated the suspected abuse of dominant market position by Finavia in ground handling services and certain passenger services at regional airports and in the lease of premises necessary for offering these services. Finavia manages the airport network in Finland and controls 25 of the 27 Finnish airports. In addition, Finavia operates ground handling services business at the airports via its two subsidiaries, Airpro Ltd and RTG Ground Handling Ltd. The FCCA’s inspections or other inquiries into the matter did not provide the FCCA with evidence of Finavia having committed an infringement of the competition rules by abusing dominant market position. The FCCA closed the case by a decision issued on 14 August 2013. Finavia was advised by partner Jouni Alanen, attorney-at law, senior associate Maarika Joutsimo, attorney-at-law, and associate Kiti Karvinen. HPP is pleased to announce that it has signed a collaboration agreement with the Chinese Academy of International Trade and Economic Cooperation (CAITEC) to support economic and investment cooperation between the People’s Republic of China and Finland. Head of HPP’s China Desk and partner Markku Mäkinen comments: “This is a unique opportunity for a Finnish law firm to collaborate closely with Chinese governmental authorities and support HPP clients and Finnish businesses in finding funding from Chinese sources as well as support the business activities of Chinese and Finnish companies in both countries. We are very much looking forward to assisting in identifying opportunities and increasing the flow of deals and projects between Finland and China”. The collaboration will involve jointly identifying relevant investment projects and opportunities in both countries, the active exchange of information and targeted seminars and delegations to both countries as well as legal support during the execution of relevant projects. The agreement recognizes HPP’s significant experience in advising on Chinese-related transactions and projects. In addition to Markku Mäkinen’s experience leading Nokia’s Chinese legal team in Beijing HPP counts amongst its lawyers a Mandarin-speaking lawyer, Yanhuan Zhou. The firm has advised on both inbound and outbound Chinese matters particularly in the M&A and investment fields. HPP is a leading Finnish corporate law firm with significant cross-border experience in international transactions and matters. HPP focuses on specific key sectors (energy and infrastructure, financial services, technology, media and telecoms, transport/logistics and pharma/life sciences) and has developed market-leading knowledge of the legal issues clients in those sectors face in their business operations and transactions and projects. Based in one office in Helsinki, HPP counts some of Finland’s and the world’s leading companies and institutions as its regular clients. The Chinese Academy of International Trade and Economic Cooperation (CAITEC), a research and advisory arm affiliated to the Ministry of Commerce (MOFCOM), is a policy-oriented institute set up in 1948. The main objective of the academy is to support the formulation of trade and trade-related policies by timely and in-depth research and analysis of emerging issues and challenges as well as policy proposals. We are currently advising NASDAQ listed Yandex, the leading search engine in Russia and the CIS (and one of the largest in the whole world) on all legal aspects of the construction of a data center outside Helsinki. Advice has included, among others, corporate and tax structuring, legal due diligence on different sites, acquisition of land and drafting of construction agreement for the execution of the construction phases. The HPP team engaged to the project consists of Partner Andrew Cotton, Partner Jari Tuomala, Senior Associate Antti Rikala, Senior Advisor Jouko Kiesi and Senior Advisor Suvi Marttinen. Samsung Research & Development Institute (UK) recently opened an R&D facility in Helsinki developing next generation technologies for consumer electronics devices. HPP was delighted to provide advice on the corporate, commercial, intellectual property, employment law and tax aspects of the project. HPP assisted Oy Lival Ab in squeeze-out proceedings under Chapter 18 of the Limited Liability Companies Act and arbitration proceedings pertaining thereto. The arbitral award concerning the redemption price was issued in June 2013. The arbitral tribunal confirmed the redemption price per share at EUR 30,00 in accordance with Lival’s original request. The Finnish Competition and Consumer Authority (FCCA) launched on its own initiative an investigation into suspected collaboration between competitors on the market of ground handling services and in connection with the investigation carried out inspectionsof the premises of Finavia Corporation and ISS Aviation Ltd on 5 June 2012. Finavia manages the airport network in Finland and controls 25 of the 27 Finnish airports. In addition, Finavia operates ground handling services business at the airports via its two subsidiaries, Airpro Ltd and RTG Ground Handling Ltd. Neither the FCCA inspections, the hearing of both companies nor other inquiries into the matter did not provide the FCCA with evidence of the companies having committed an infringement of the competition rules by participating in a market sharing arrangement. The FCCA closed the case by a decision issued on 15 May 2013. HPP represented Element Power, the leading renewable energy developer, on the negotiation of a joint venture with UPM, one of the largest Finnish listed companies, concerning the development of a major portfolio of renewable energy projects on UPM land around Finland. HPP’s team, led by partner Andrew Cotton, advised on all legal aspects of negotiating and concluding the joint venture project documentation including corporate, commercial, real estate and project finance. Element Power is backed by the $1bn Hudson Clean Energy Partners private equity fund dedicated solely to investing in renewable power, alternative fuels, energy efficiency and storage. HPP’s team led by partner Björn Nykvist advised Club Internacional del Libro group (“CIL Group”) in the acquisition of Oy Valitut Palat – Reader’s Digest Ab (“Valitut Palat”) from the US corporation Reader’s Digest Inc. The share purchase was completed on 30 April 2013. CIL Group is the leading direct marketing company in Spain and Portugal with over 30 years of experience in the field of marketing and close to 1,000 employees. The acquisition of Valitut Palat was a part of a larger transaction by which CIL Group is aiming to expand its business into the French, Swedish, Finnish, Norwegian and Baltic markets and followed the acquisition completed last year with the same seller regarding subsidiaries located in Spain and Portugal. Valitut Palat is a Finnish company with 42 employees, operating in Finland, Sweden, Norway and the Baltic countries. Its magazine has the largest subscription circulation in Finland. HPP, under the direction of partner Markku Mäkinen, advised the Finnish majority owners of a dairy joint venture LVDU Lapland Food (Fushun) Co., Ltd, which has commenced its operations in China, on an arrangement regarding the expansion of the company’s shareholder base and acquiring additional financing. LVDU Lapland Food (Fushun) Co., Ltd is the first Finnish and Nordic food industry company to expand its operations into China. At the initial phase the cheese factory in Fushun produces cream cheese and yogurts. Currently the facility provides employment for over 60 people, but the amount of employees is meant to rise up to 300 people in 2013. 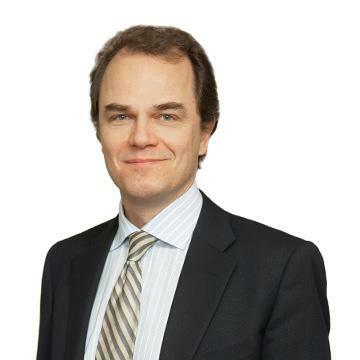 HPP’s partner Markku Mäkinen has resided in Peking for three years when working there as the chief legal counsel of Nokia China. HPP’s Chinese competence is complemented by associate Yanhuan Zhou who speaks Mandarin as her first language. The clients were advised also by associate Salla Viitikko. HPP’s finance and energy team headed by partner Björn Nykvist advised Wärtsilä group on the Finnish aspects of financing the construction of a power plant in Jordan. IPP3, the 573 MW tri-fuel power plant, is capable of utilizing natural gas, heavy fuel oil and light fuel oil and when completed, will be the largest of its kind in the world. The power plant is constructed by a Wärtsilä headed consortium under a turnkey contract with a contract value of USD 552 million of which Wärtsilä’s share is USD 334 million. The power plant is to be located some 30 kilometers outside Amman, in Al Manakher, and is scheduled for commissioning by September 2014. In addition to partner Björn Nykvist, Wärtsilä was assisted by partner Antti Säiläkivi, associate Elina Valkonen, senior associate Timo Ukkonen and senior advisor Jouko Kiesi. Read more about the unique project in Wärtsilä Stories. Based on a complaint made by Kuopion Energia Ltd, the Finnish Competition Authority (From 1 January 2013 the Finnish Competition and Consumer Authority) investigated whether Vapo Ltd’s pricing of energy peat is in accordance with the competition law. Kuopion Energia claimed that under the delivery period of 2009–2010 Vapo had committed groundless and unreasonable price increases of energy peat and thus abused its dominant market position. Based on its investigations the Finnish Competition Authority came to the conclusion that Vapo had not committed unreasonable pricing, prohibited by the competition provisions, in the sale of energy peat. The authority assessed Vapo’s price increases and the level of its pricing by analyzing especially the profitability of its peat business. According to the authority it is common knowledge that the summers during the past years had been rainy and that the total production targets had not been reached. Furthermore the current preconditions for environmental permit proceedings and the length thereof may have led to need of additional investments and costs and thus caused pressure to increase prices. The Finnish Competition Authority found that based on the circumstances shown inthe matter with relation to the issue there was no reason to question the fact that Vapo’s price increases were based on actual increase in the production costs of energy peat. The authority withdrew the issue by its decision on 16 November 2012. During the Finnish Competition Authority’s investigation Vapo was assisted by attorney-at-law, partner Jouni Alanen and attorney-at-law Maarika Joutsimo. HPP’s transaction team led by partner Antti Säiläkivi advised Robot Creative Agency, a successful digital marketing agency, and its owners in a transaction whereby Robot merges its business with Bob Helsinki, one of the best known marketing agencies in Finland. The merger will create Bob the Robot Group. After the merger, new Bob the Robot Group will be one of the biggest marketing agencies in Finland with its plus 6MEUR sales margin and over 60 employees. A team of HPP’s transaction lawyers led by partner Antti Säiläkivi advised the sellers of Red Green Blue RGB Oy (“RGB”) in the sale of the company to Bright Group, owned by the funds managed by CapMan Plc and the management. RGB is the leading Finnish event technique company providing complete AV solutions for different kinds of events in Finland and as well elsewhere in Europe. RGB’s areas of expertise comprise cameras, projectors, led screens, plasma displays and several different screen control systems. RGB is specialised in providing these services particularly to various corporate and sports events as well as festivals. After the acquisition of RGB, Bright Group encompasses Eastway Pro and Moving light, companies specialising in planning and execution of event technique, event marketing companies Eastway Impact, Tapaus and Boogie Marketing, Eastway Live, a company arranging concerts and other public events as well as Menolippu, a company selling event tickets. In Sweden, the biggest Bright Group company is Starlight AB and in Norway, Avab Cac AS. Bright Group is owned by funds managed by CapMan Plc together with the Nordic management. After the acquisition of RGB, the turnover of Bright Group totals to approximately EUR 90M. The newly established LTC-Otso Oy develops and offers banking and insurance related ICT-services to LähiTapiola group, Etera and Turva. The services cover the needs of business activities relating to indemnity, employment pension and life insurances as well as businesses in the fields of banking, financial management and real estate investment. 240 Tieto-Tapiola employees will be transferred to the new company. LTC-Otso Oy will begin its operations in Espoo and Tampere in the beginning of February, 2013. The arrangement is one of the largest ICT outsourcing arrangements in Finland, with its value of 150 million euros. LähiTapiola was advised by Senior Associate Terho Nevasalo and Partner Vesa Silaskivi. We advised Auratum Asunnot Helsinki Oy on concluding a preliminary agreement concerning the purchase of Taivallahti barracks located in Taka-Töölö, Helsinki. Our engagement included resolving legal questions and advising on negotiating and drafting the preliminary agreement. Auratum Asunnot Helsinki Oy was advised by senior associate Antti Rikala and partner Jari Tuomala. HPP advised Pato on leasing hydropower business. HPP advised Pato Osakeyhtiö on the transfer of its hydropower business and the subsequent long-term lease of hydropower assets and real estate from Pato Osakeyhtiö to KSS Energia OY. On the basis of the lease agreement KSS Energia will take over the production of electricity in the environmentally friendly hydro-electric power plant, as well as production planning and optimization, operation and maintenance of the hydro-electric power plant. Pato Osakeyhtiö produces electricity in hydro power plants in Southern-Eastern Finland at Myllykoski in Kouvola and at Vuolenkoski in Iitti. The hydro power plants transferred to KSS Energia produce up to 70 % of the electricity used within the Kouvola region. Our assignment consisted of structuring the deal and negotiating the transaction documents with all relevant parties. Pato Osakeyhtiö was advised by partner Vesa Silaskivi, senior associate Timo Ukkonen and associate Yanhuan Zhou. HPP advised Ahlström Capital Oy and HGR Property Partners Oy on a real estate development project in which clients acquired a historical building at Lönnrotinkatu 3 in Central Helsinki. The building was originally constructed for residential use but was converted to office use at a later stage. The building will be restored as a residential building featuring unique location and very high quality residences. The building was acquired through the acquisition of housing company shares in three different transactions from three different sellers, including two foundations and one company. Our assignment consisted of the due diligence reviews of each relevant company and drafting and negotiating the transaction documentation. Ahlström Capital Oy ja HGR Property Partners Oy were advised by partner Jari Tuomala ja senior associate Antti Rikala. The Finnish Competition Authority (FCA) initiated enquiries on its own initiative following coverage by the leading newspaper Helsingin Sanomat of a joint tender offer made by Mediverkko Terveyspalvelut Ltd and Attendo Terveyspalvelut Ltd in relation to tendering by the Cityof Helsinki. 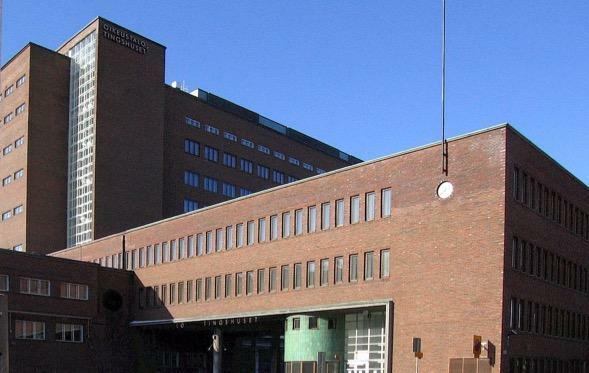 The tender offer concerned the hiring of physicians for the emergency units of the Helsinki Health Centre. After inspections and enquiries into both companies, the FCA reached the conclusion that neither companies’ actions restricted competition. Based on the reports submitted by the companies, the FCA determined that Mediverkko Terveyspalvelut Ltd and Attendo Terveyspalvelut Ltd proved that they did not have sufficient resources to submit separate bids. The FCA also ruled that cooperation between the two companies was not wider than what could be considered as necessary for making the joint tender offer. Therefore, the companies’ actions were not regarded as being in breach of competition law. The FCA removed the case from its agenda by a press release issued on 23rd of November 2012. Attendo was advised by Senior Associate Maarika Joutsimo and Partner Tuomas Saraste. HPP advised Aberdeen Property Fund Finland I Ky, a real estate investment fund managed by Aberdeen Asset Management, on a real estate transaction in which a company owned by the fund divested a retail portfolio of seven K-Market stores to a real estate investment fund managed by Sveafastigheter and Capitol Asset Management, a local partner of Sveafastigheter. The transaction was effected through the sale of seven pieces of real estate located in various parts of Finland. Our assignment consisted of drafting and negotiating the transaction documentation and assisting the client in the sales process and closing arrangements. Aberdeen was advised by partner Jari Tuomala and senior associate Antti Rikala. HPP advised Wihuri Oy, a multinational industry and trade conglomerate with a turnover of 1.5 billion euros, on a real estate transaction in which Wihuri Oy acquired a logistics facility located in the City of Oulu from Redevco Finland Oy. Our assignment consisted of due diligence negotiations and drafting and negotiating the transaction documentation as well as closing procedures. Wihuri Oy was advised by partner Jari Tuomala and senior associate Antti Rikala. HPP advised Mutual Pension Insurance Company Etera on a real estate transaction in which Aberdeen Property Fund Finland I Ky acquired a newly constructed business park building located in Seinäjoki. The aggregate surface area of the building is approximately 9,700 sq m. The transaction was effected through a sale of shares in a mutual real estate company. Our assignment consisted of advising the seller in the sales process, data room preparation and management and drafting and negotiating the transaction documentation. Mutual Pension Insurance Company Etera was advised by partner Jari Tuomala and senior associate Antti Rikala. HPP advised the seller, Kraft Foods Finland, on the entire transaction process including data room preparation and management as well as drafting and negotiating the transaction documentation and closing the deal. Kraft Foods Finland is one of the leading biscuit producers in Finland. 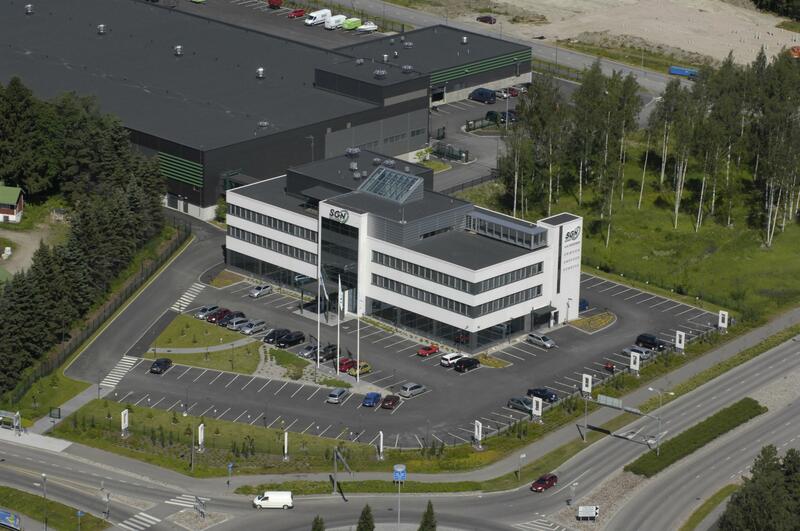 In connection with the sale of its biscuit production facilities the well-known trademarks of Jyväshyvä and Carneval (as well as other locally known brands) were transferred to Fazer Group. In total 85 employees were transferred to Fazer Group in connection with the business transfer. Kraft Foods Finland was advised by partner Björn Nykvist, specialist counsel Markku Mäkinen, senior associates Antti Säiläkivi and Tea Telamo and associates Salla Viitikko and Mikaela Åkerberg. Upon the appointment of the District Court of Helsinki, HPP’s Juho Lenni-Taattola administered the bankruptcy estate of Hotelli Helena Oy, the assets of which consisted of leasehold real estate in Central Helsinki and a historical building located on the real estate. The debtor was declared bankrupt before fundamental improvement to the building was finished. HPP successfully concluded the sale fo the assets to the benefit of creditors. The appointment included, inter alia, administering the sales process and negotiating and selling the leasehold and the building to a selected investor which is planning on converting the building into office use. The project included various consultations and negotiations with local city authorities regarding planning and conservation issues in order to achieve the best result for creditors. The value of the transaction was considerable but is non-disclosable. Partner Juho-Lenni Taattola acted as the administrator of the bankruptcy estate of Hotelli Helena Oy and he was supported by partner Jari Tuomala, associate Klaus Majamäki and associate Yanhuan Zhou. HPP advised Vaasan Group on a cross-border Green field project. HPP advised Vaasan Oy and its local subsidiary on a cross-border green field development project in which Vaasan Oy intends to invest in a new industrial bakery constructed by the SRV Group in Saue, Estonia in co-operation with Sorainen Law Offices. The project consisted of acquisitions of requisite land areas, negotiations of turn-key construction and development agreements. In addition, HPP acted as lead legal counsel in the project and cooperated with foreign firms including Sorainen Estonia. Vaasan Oy and its local subsidiary were advised by partner Jari Tuomala ja senior associate Antti Rikala. HPP advised Paper Workers’ Union and Etera on a real estate transaction. HPP advised the Finnish Paper Workers’ Union and Mutual Pension Insurance Company Etera on a real estate transaction in which Mutual Pension Insurance Company Tapiola acquired two business park buildings as well as a parking hall located in the Stella Business Park, Espoo. The aggregate surface area of the buildings is over 8,000 sq m. The transaction was effected through the sale of two mutual real estate companies. Our assignment consisted of advising the sellers on the sales process, data room preparation and management and drafting and negotiating the transaction documentation. Finnish Paper Workers’ Union and Mutual Pension Insurance Company Etera were advised by partner Jari Tuomala ja senior associate Antti Rikala. HPP advised Suomen Lauttaliikenne Oy on the acquisition of all shares in Arctia Archipelago Shipping Ltd from Arctia Shipping. Our assignment consisted of advising the purchaser in the purchase process and drafting and negotiating the transaction documentation. Suomen Lauttaliikenne Oy started operating on 1 January 2010 (the company uses the business name Finferries in its trading operations). 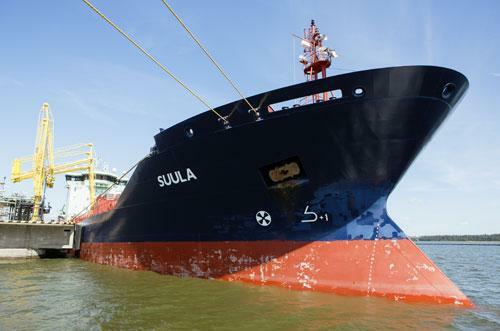 In May 2012 Suomen Lauttaliikenne Oy purchased the entire stock of Arctia Archipelago Shipping. Upon concluding the transaction Suomen Lauttaliikenne became the only organization owned by the Finnish State that is responsible for both ferry and commuter ferry traffic. Arctia Archipelago Shipping became a subsidiary of Suomen Lauttaliikenne and the name was changed to Finland Archipelago Shipping Ltd. The rationale behind the transaction was the Finnish State’s desire to develop and improve ferry and commuter ferry operations. Suomen Lauttaliikenne Oy was advised by partner Björn Nykvist and senior associates Tea Telamo and Maarika Joutsimo. We advised Suomen Omatalo Oy on the purchase of the house-building business of Finndomo Oy in Sonkajärvi. Omatalo is the best known house brand in Finland which has built almost 100,000 Omatalo houses in its history. The transaction ensured the uninterrupted continuance of more than 70 years of house-building in the Sonkajärvi factory. Our assignment consisted of advising the purchaser on the transaction process and drafting and negotiating the transaction documentation. Suomen Omatalo Oy was advised by partner Juho Lenni-Taattola, senior advisor Jouko Kiesi and associate Yanhuan Zhou. The properties in bankruptcy include various valuable properties at the most central locations in Helsinki which were sold in the beginning of 2007 to their present owner, Bronda Properties B.V., declared bankrupt on 10.4.2012. The value of the sale exceeded 300 MEUR. HPP assisted NCC Roads in a proceeding before the Market Court in late 2011 regarding the Finnish Competition Authority’s (the FCA) Market Court proposal to prohibit the acquisition of asphalt paving business between NCC Roads and Destia. The FCA decided in August 2011 that it would propose that the Market Court prohibit the concentration. The matter was subsequently submitted to the Market Court. The merger between NCC Roads and Destia was the first prohibition proposal which was handled in the Market Court. The basis of the FCA’s prohibition proposal was the creation of a joint dominance between NCC Roads and Lemminkäinen Infra as a result of the merger. The Market Court approved the merger in November 2011 subject to certain commitments. These commitments were, however, such that NCC did not consider them feasible. In consequence NCC and Destia decided to cancel the proposed acquisition. NCC and Destia concluded thereafter a new acquisition in which the structure of the acquisition was altered from that proposed in the previous sale process. The new acquisition structure was cleared by the FCA in November 2011. The Market Court took the same stand concerning the establishment of joint dominance as the FCA, even though, amongst other issues, neither cross ownerships nor far-reaching contractual arrangements existed between NCC and Lemminkäinen. Tuomas Saraste, Anu Aaltonen, Kiti Karvinen, and Laura Olkkonen at HPP’s competition law team assisted NCC Roads in the merger control proceedings at the FCA and the Market Court. A team of HPP’s transaction and finance lawyers led by partner Björn Nykvist and specialist counsel Antti Säiläkivi advised Vaahto Group Plc Oyj on a private placement targeted to selected investors, which was executed simultaneously with a share exchange arrangement whereby Vaahto Group acquired the remaining 47.92 per cent of the shares in AP-Tela Oy from its minority shareholders. Vaahto Group Plc Oyj is a globally operating high technology company serving process industry in the fields of paper-making technology and process technology. Vaahto Group’s shares are listed on Nasdaq OMX Helsinki (WAT1V). HPP acted as legal counsel to Vaahto Group in relation to the private placement arrangement, including drafting the prospectus for the listing of the new shares, and also rendered legal advice in connection with the acquisition of AP-Tela Oy’s minority stake. Vaahto Group’s stock exchange bulletins can be accessed here. Partner Vesa Silaskivi and Senior Associate Tea Telamo assisted Lännen Tehtaat Oyj in the acquisition of Caternet Finland Oy. Caternet Finland Oy is a company specializing in fresh produce of fish, fruit and vegetables.Company’s turnover was EUR 29 million in 2011 and the company employs approximately 120 people in Helsinki, Oulu and Jyväskylä. HPP’s team carried out the legal due diligence of the company and was responsible for the preparation of the documentation related to the transaction and acted as the legal advisor in the negotiations. HPP advised Finndomo Oy on real estate transactions in which Finndomo Oy divested its industrial production site located in Loviisa, Finland and its office and industrial site located in Jyväskylä, Finland to private investors. The transactions were part of Finndomo Oy’s restructuring proceedings. Finndomo Oy was advised by partner Jari Tuomala and senior associate Antti Rikala.